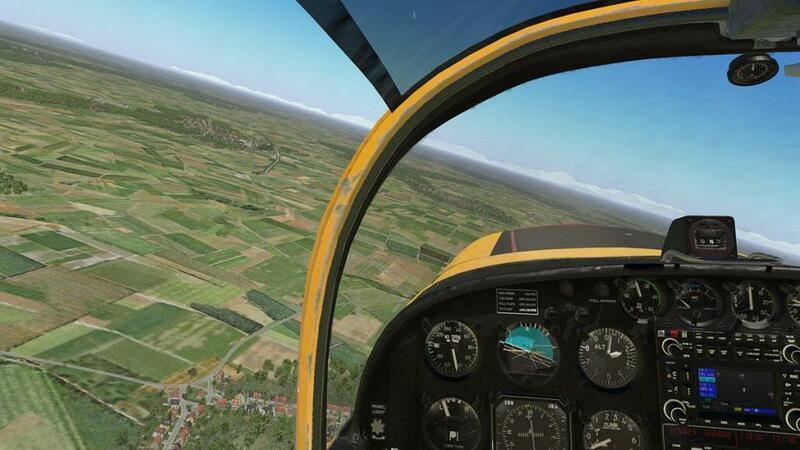 The SF.260 was designed by Italian aircraft designer Stelio Frati, with production work originally performed by Milan-based aviation manufacturer Aviamilano. 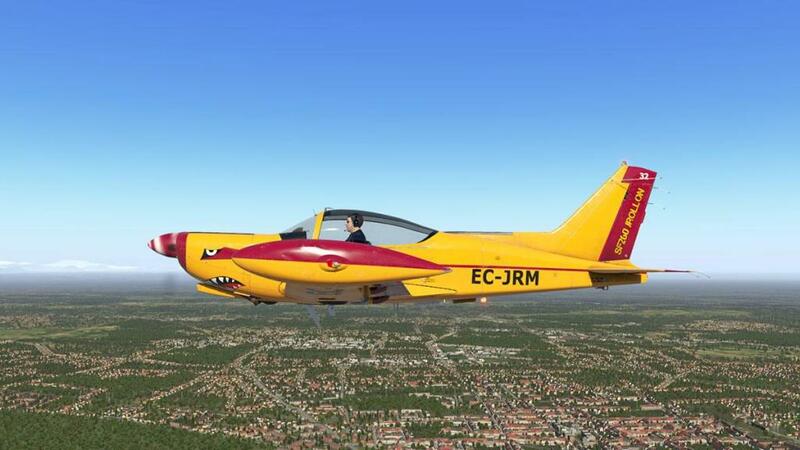 It was even before the aircraft's maiden flight that the project was then purchased out in the whole by SIAI Marchetti, who had purchased the rights to the design and the manufacturing which continued to be performed by this firm until the company was themselves bought out by Aermacchi in 1997. The aircraft is two-four seat single engined trainer, that also had the capabilities as a very light-weight strike aircraft, and that made it very popular for small airforces. 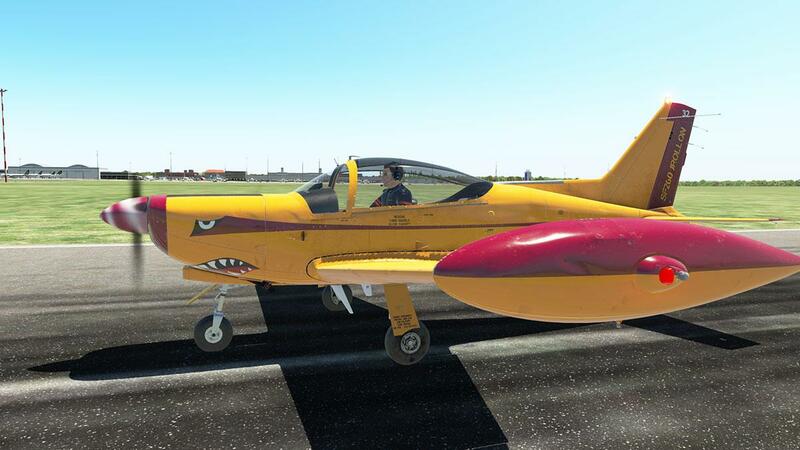 It is renowned aerobatic aircraft as well, and so this is a very versatile aircraft was built to the standards of a jet aircraft rather than a light-weight trainer. 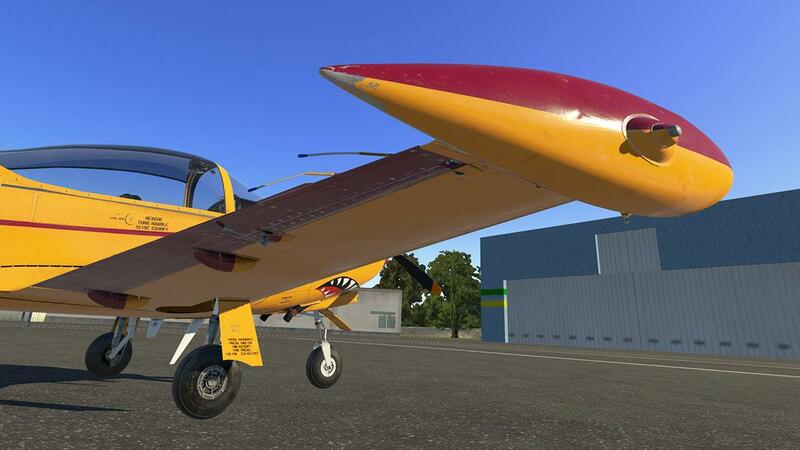 Around 850 aircraft have been built since 1964, and the aircraft is still in production. 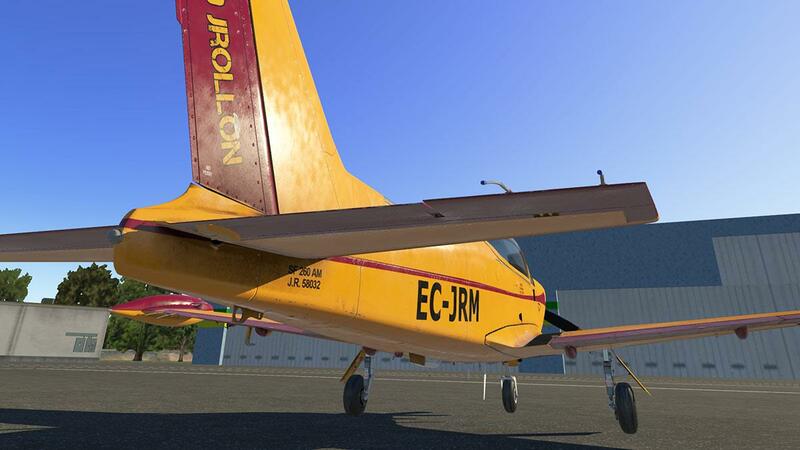 Javier Rollon is a very early X-Plane designer from Spain. 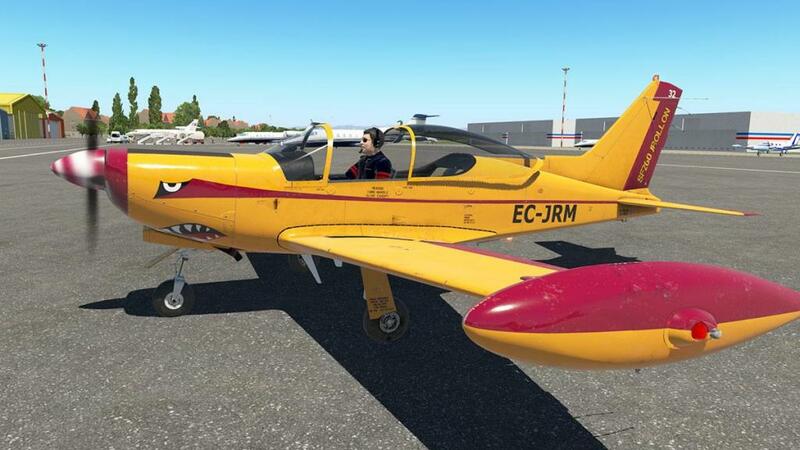 His aircraft include the CRJ-200, BAE Jetstream 32 and the T34-C Mentor, but more unknown is that he is the main developer that is responsible for most of the default aircraft that comes with the X-Plane simulator, so fly the Boeing 738, or Boeing 747-400 or even the Space Shuttle and you are flying in one of JRollon's aircraft. 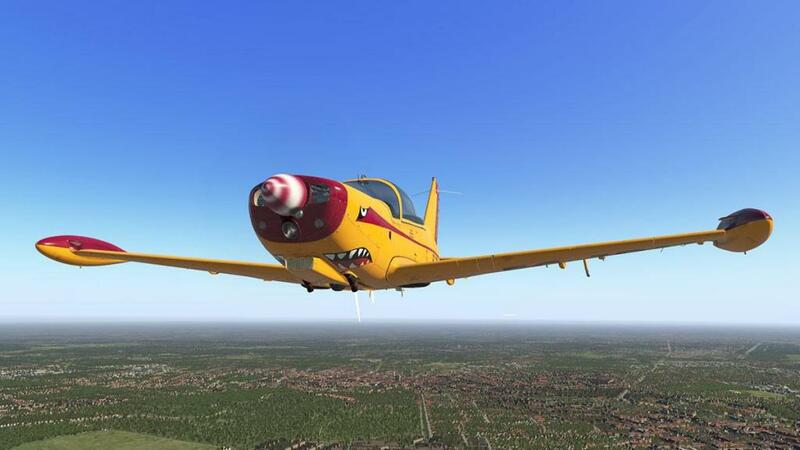 SimCoders are a specialist plugin developer studio that started out with their excellent "Headshake" plugin, but their main focus has been on REP's or Reality Expansion Packs that give both the X-Plane default or payware (mostly Carenado) aircraft added capabilities and features not included within the original package. 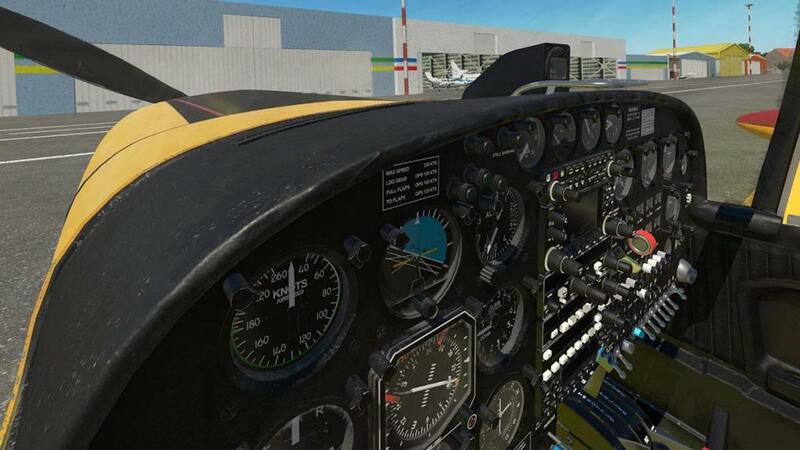 With this SIAI Marchetti it is the first time that SimCoder's have been included in the original development of the aircraft, so this package is not a divided or addon pack, but both areas have been developed together as a one single whole package. 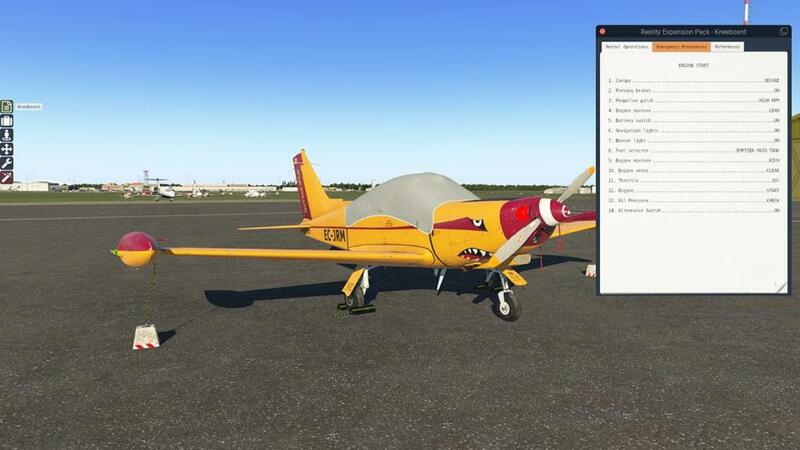 First impression is that the included feature list is huge for such a small aircraft, add in the SimCoder pack and it gets really big. 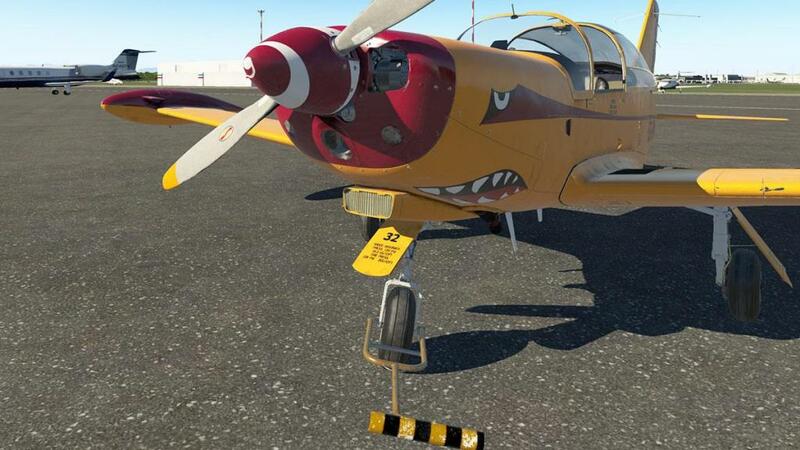 So no expense has been spared here by either developer on this little trainer/strike aircraft. The SF.260 uses the Simcoder REP as it's menu system, so any or most menu options or features are accessed through that system. I have always been a bit contentious towards some of JRollon's designs, no doubt they are excellent. But they sometimes they come across as a bit heavy handed, note the X-Plane Boeing 747-400, or the CRJ-200. They are very good make no mistake, but usually feel a bit heavy and dark in their designs and graphics. 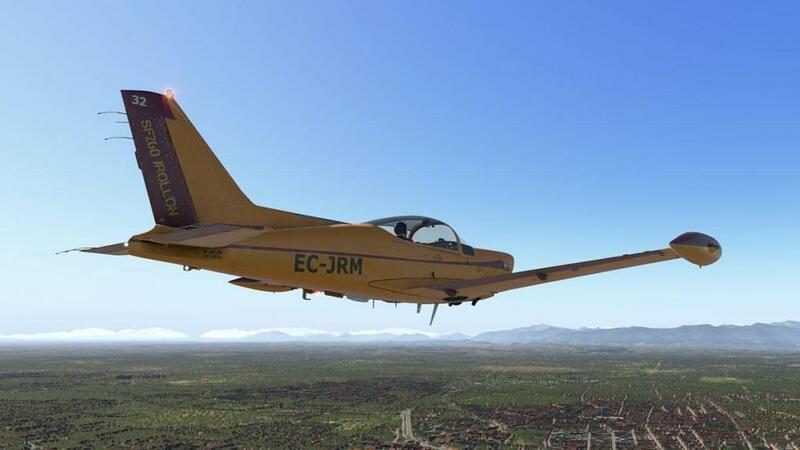 So my first thoughts on the Marchetti, was then is this aircraft going to go down that same dark dirty route, but to be fair Javier has not done an external payware aircraft for years, as the Laminar contracts have kept him away from the main stream so to speak. 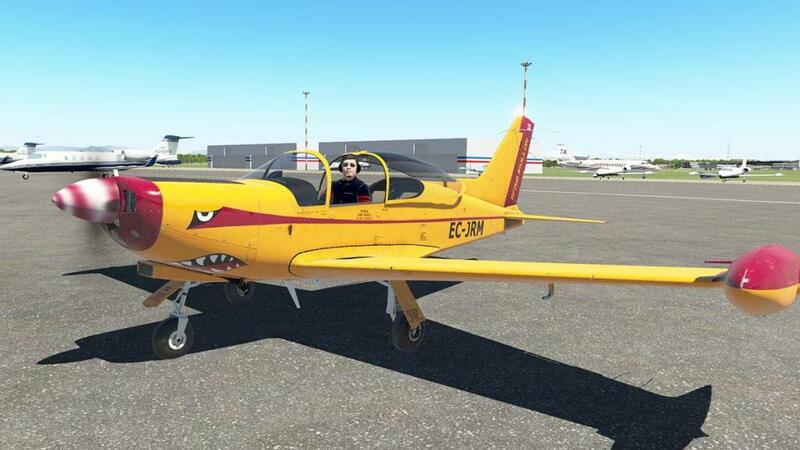 So in someways this aircraft is a new look at his current design philosophy and in the way he has adjusted his style to the newer X-Plane11 era and it's dynamics. 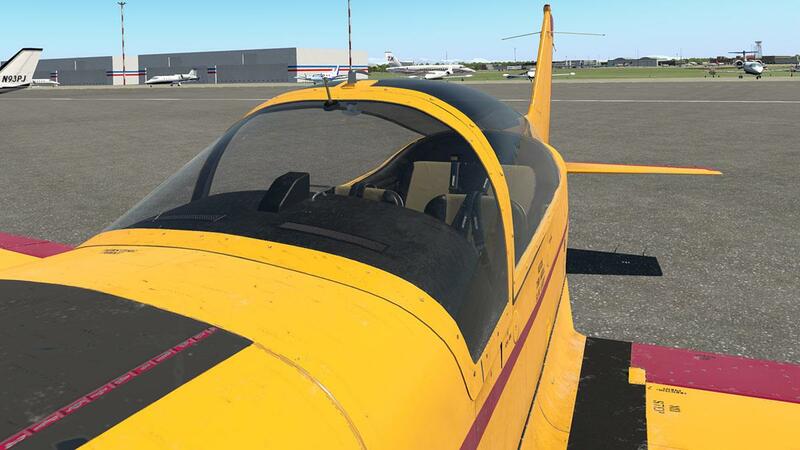 If you love detail, then this Marchetti will be an aircraft that will really get your jollies off... words of "Incredible" and "amazing" do so easily roll off your tongue. 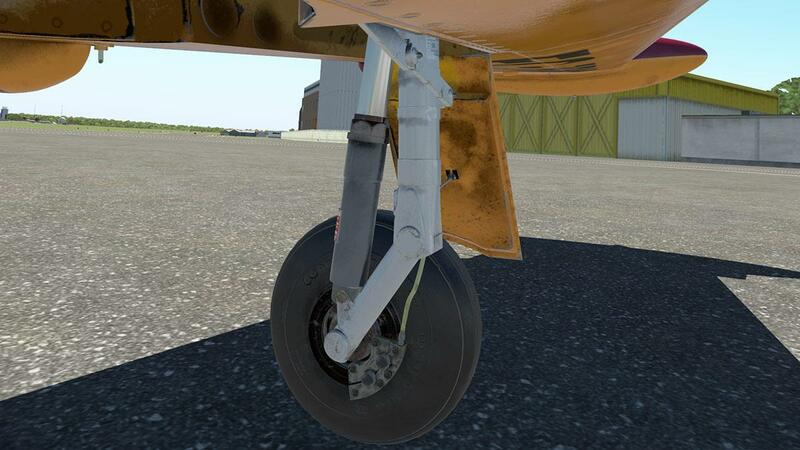 The undercarriage is the point of truth for any design, and yes there are a lot of great assemblies out there, but "this" detail is something else, and I have a few thousand real aircraft gear images to back me up. 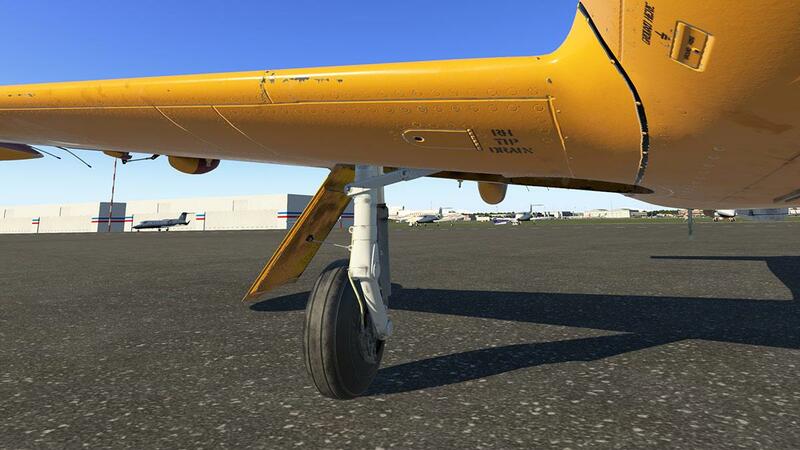 The detail and complexity is absurd, almost an art form, but overwhelming is the wear and tear detail... the liveries that come with the Marchetti are large in size at 4096x4096 and downloads are 131mb each, but they hold some incredible detailing. Wing profile and detail is again excellent, but it is in the minute that you see brilliance... note the wing-tip fuel tank drainage plug. 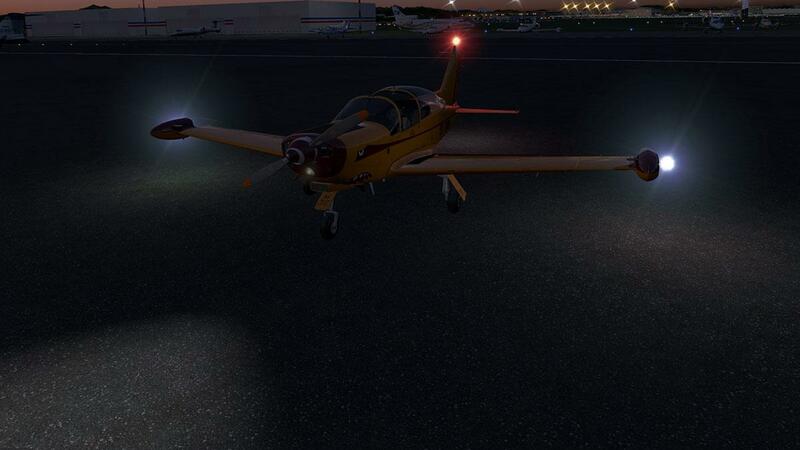 Lighting assemblies on the wing-tips are a work of art. 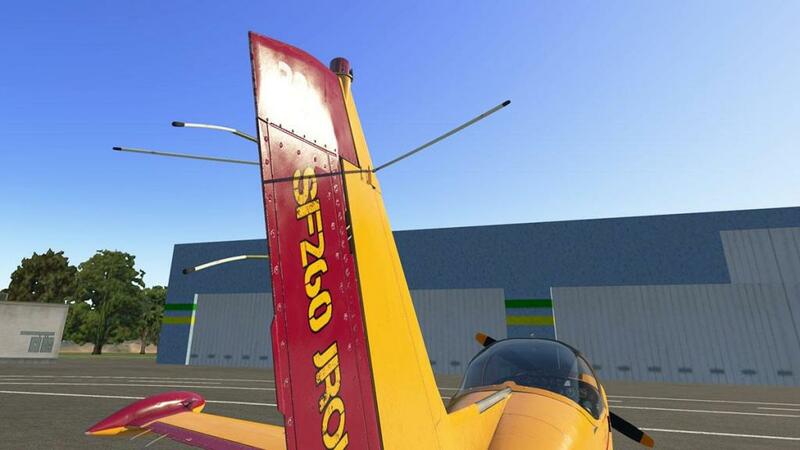 The static wicks are highly realistic, as they flop in the static position but are animated in flight; they are positioned on the wing, elevator trailing edges and rudder trailing edge. 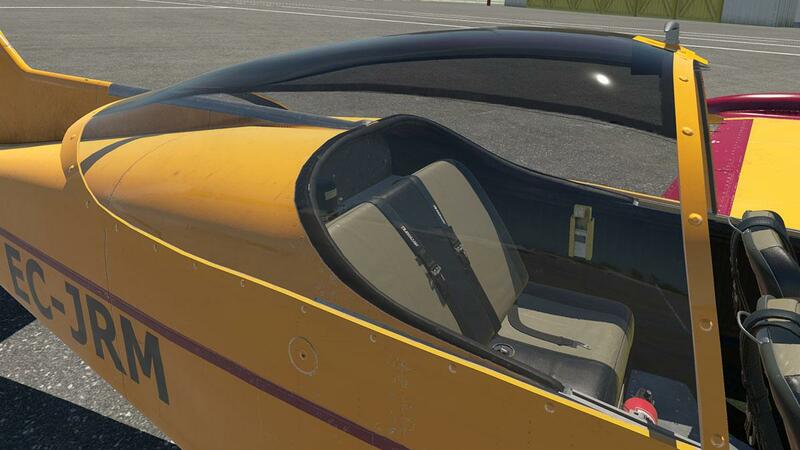 Panel fit, riveting and design is first rate, as it is hard (and so many developers get don't the right amount of groove to make the panels realistic and so they look wrong), but not so here... note the lovely NACA duct on the fuselage. 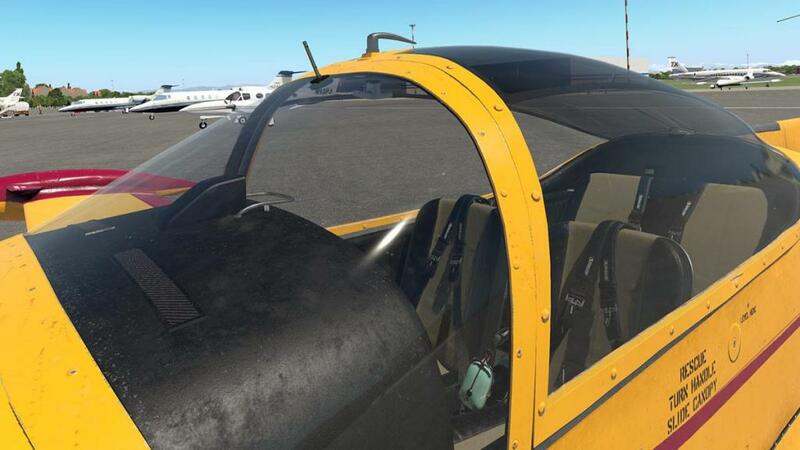 I have a bit of an obsession with glass, as to me perfect glass means a perfect aircraft, it is all in the shape, the thickness and the reflections.... and just when you thought it couldn't get any better, like with JustFlights Hawk T.1a then along come this masterpiece, with not only a perfection of a glass canopy, but a section of tinted glass set within the glass... and look carefully and the glass is also scratched by the elements in the air, these scratches are very and highly realistic when viewed in flight, and more so the VR (Virtual Reality) mode. 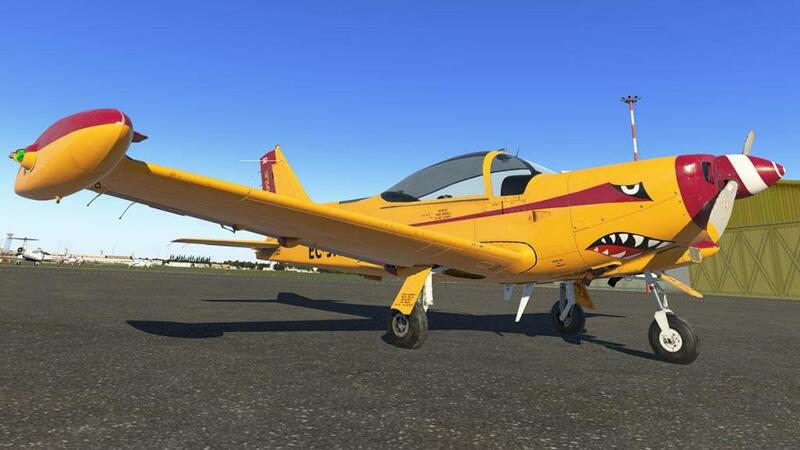 Part of this extraordinary detail is the engine as well.... a Lycoming O-540-E4A5, 195 kW (260 hp) 6 cyl horizontal opposed engine! You can only access the engine via the REP menu... which I found a little annoying, surely we could have a selection to access the engine like the other static items? Note the excellent air-cooling pots or cylinders, and every nut, screw, wire and pipe is here... it is simply extraordinary detail. 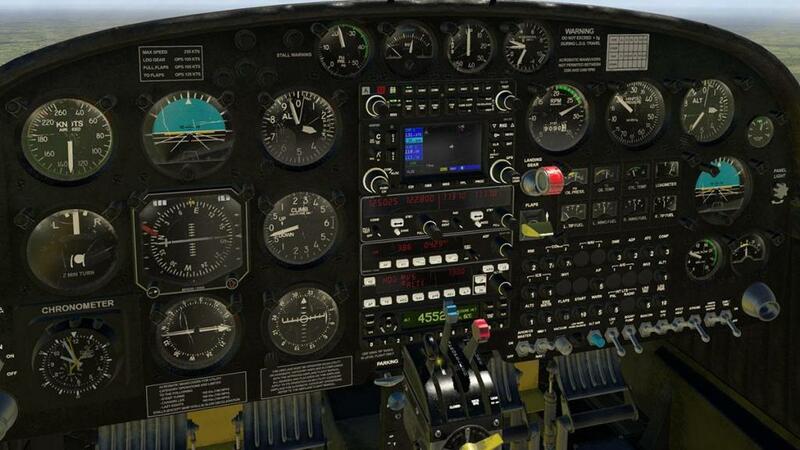 ... although the instrument panel looks excellent, it is the seats that really early on that catches your eyes. 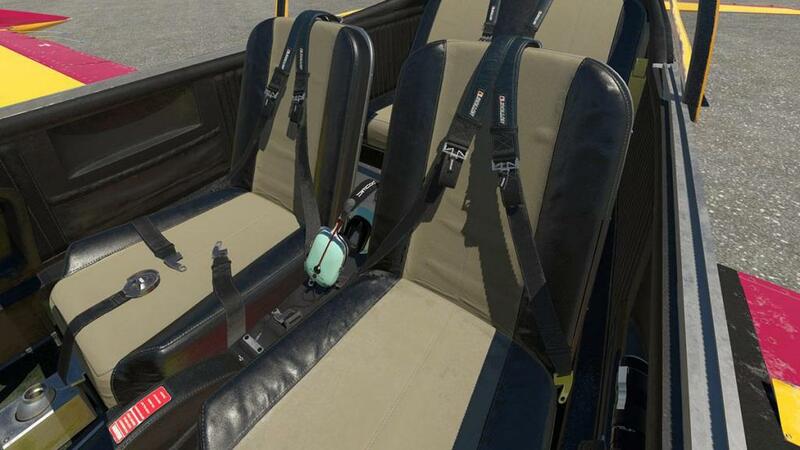 This is obscene to almost sick in realism... the folds of the leather, the inner seat panels... agggh... it is just... well. 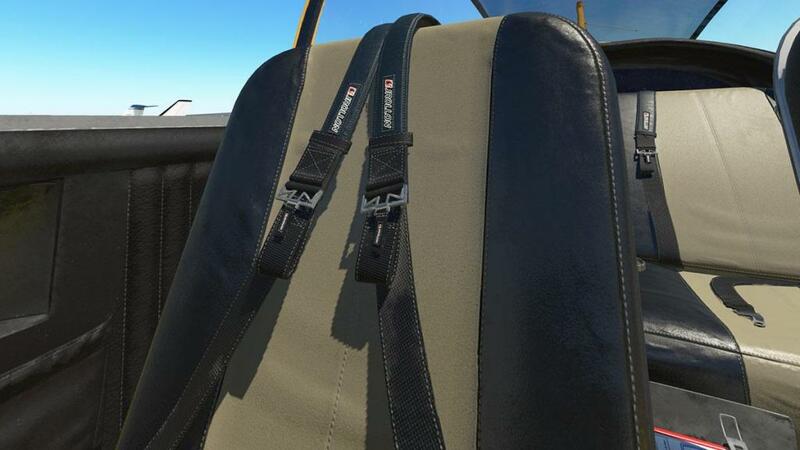 The highlight (yes there is more than that that leather) is in the seatbelt stitching, ribbing and design... ohhh! beautiful, and tell me where there is better? 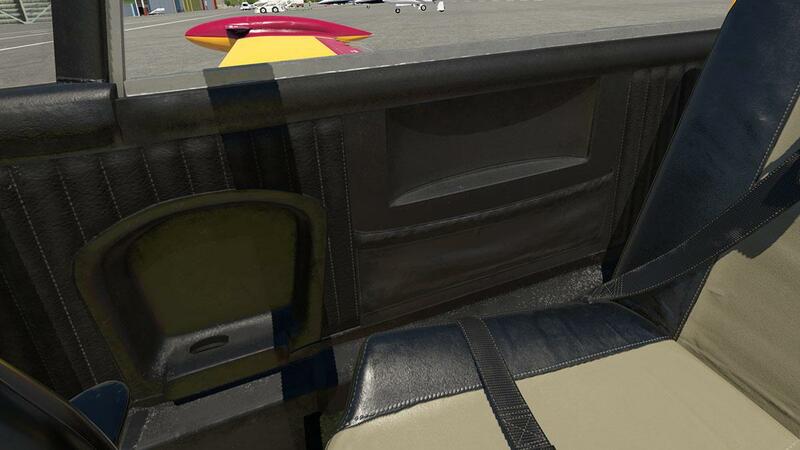 Internal cabin paneling is also exceptional, lovely leather (this is an Italian aircraft after all) and again those ripples and folds... note the metal foot plate with screws on the floor. ... and the detail, features and quality is going to be very high, and so you are certainly not going to be disappointed either. It does feel military but not that far removed from a general aviation aircraft. Note the lovely folds in the leather on the edge of the glareshield. 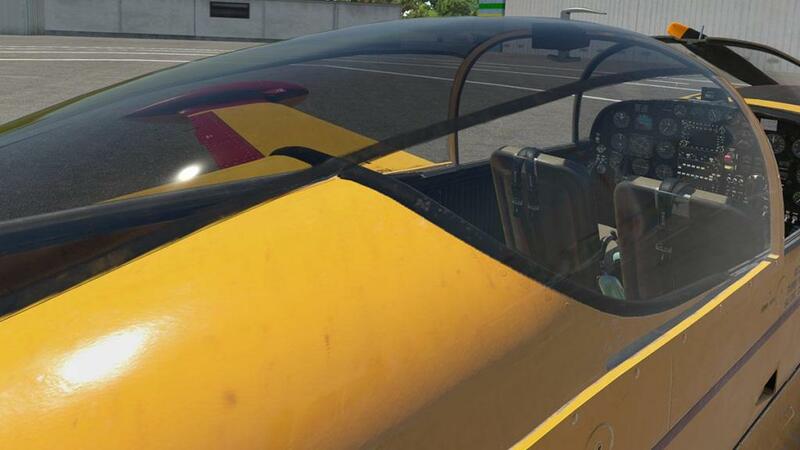 All the instruments are beautifully done with wear and tear scratches on the glass, but they are also very realistic in that the cockpit instrumentation needles will be more precise with a newly calibrated gauge rather than with an old one. So you can tap over an indicator or a bulb light to try to correct its error or fix it while in the cockpit. And I like the way the artificial horizon is lazy and floating with no power. 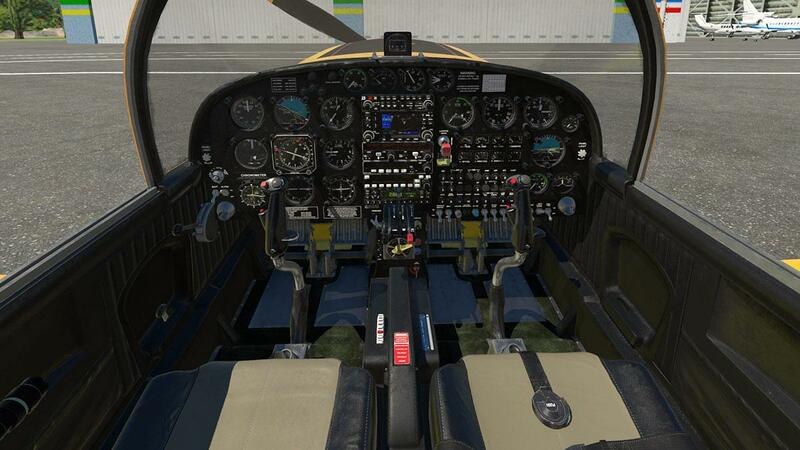 Right side pilot has backup instruments with RPM dial, Manifold Pressure and Attitude Indicator line of sight with a secondary Attitude Indicator right lower. Suction dial, Fuel Flow and Temperature gauge. Centre panel has landing gear lever and Flap switch Up to 50º in continuous movement and not stepped. 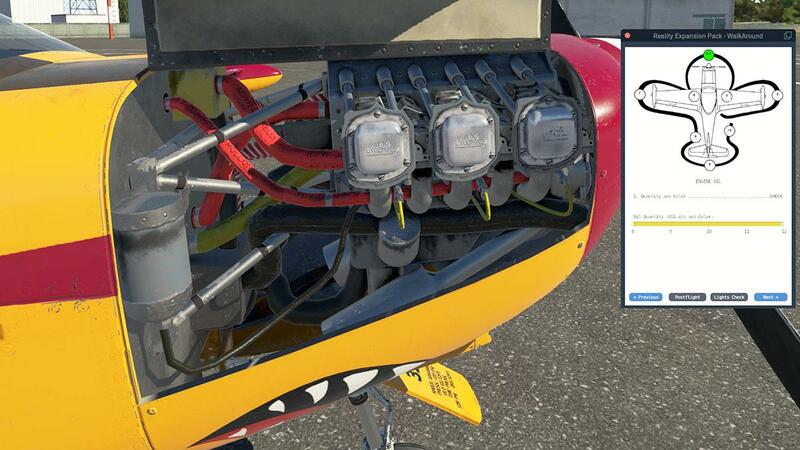 Then there is two rows of engine gauges that cover Oil Pressure, Oil Temperature, Cyl Temperature, LoadMeter (top) L(eft) tip tank Fuel, L(eft) wing tank Fuel, R(ight) wing tank Fuel, R(ight) tip tank Fuel (lower) - (64 gallons). The full set of active circuit breakers and lighting switchgear is on the bottom row. 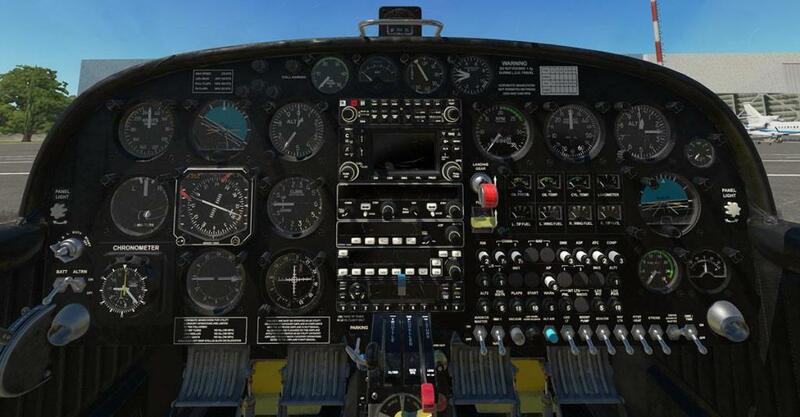 Under the glareshield there are four dials, they cover L to R: Fuel Pressure, Engine EGT (Exhaust Gas Temperature﻿), Flap position and Acceleration G movement. 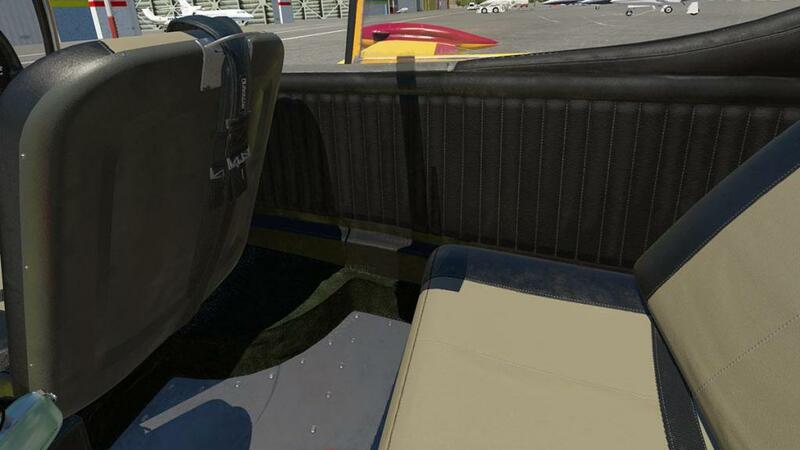 Outwardly the Avionics stack looks like the standard fit-out you usually have, but this layout has far more built in active features. Bendix/King KX165 NavCom is quite a comprehensive unit with: Active/Standby frequencies mode, Channels mode, CDI mode, Bearing mode, Radial mode and Timer mode. The next Bendix/King KR87 ADF Receiver is also very comprehensive with ANT/BFO/ADF modes and FLT/ET mode with SET/RST button. 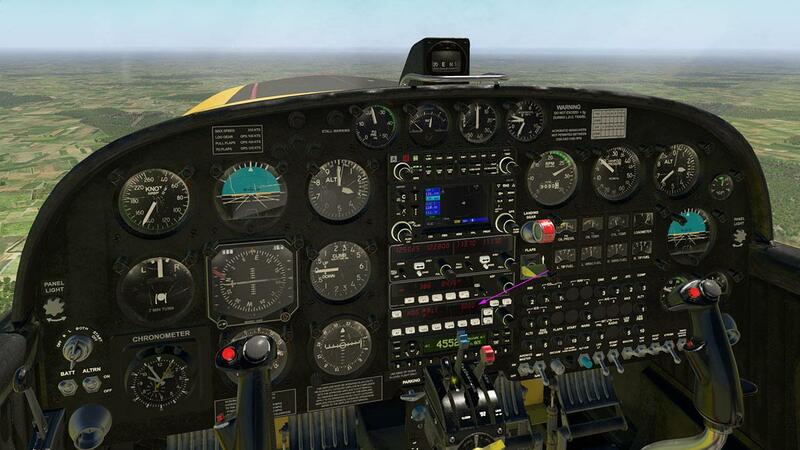 The Marchetti uses a Bendix/King KFC225 Autopilot with highly realistic Startup animations, ROLL and PITCH mode, HDG/NAV/VS/ALT modes and Yaw Damper... finally bottom is the Garmin GTX330 Transponder with built-in Altitude Monitor mode, Count down mode, Count up mode, Flight Time mode and OAT/DALT mode, altogether they are quite impressive to use. None pop-out and that includes the default GNS 430? but the KFC225 is very easily accessible from the pilot's position. 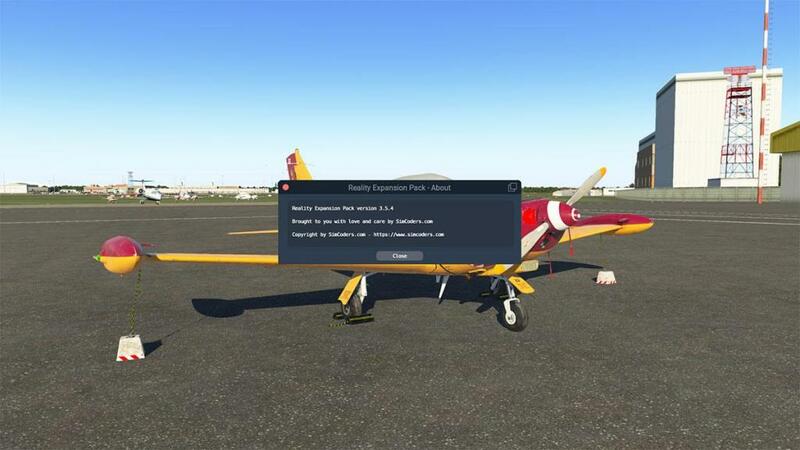 You can use the XSaitekPanels plugin and also install the RealityXP's GTN750 GPS as it can also can be used if you have that (expensive) option. 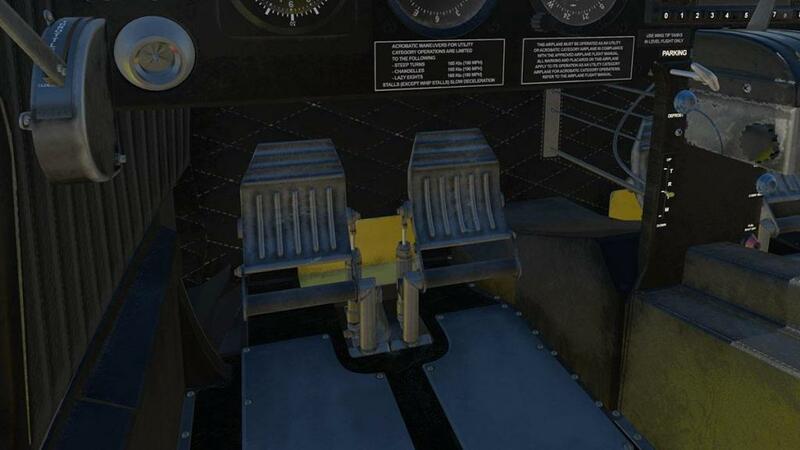 Centre ﻿pedestal is tiny but excell﻿en﻿t with; standard Throttle, Propeller and Mixture levers which are lovely and beautifully designed, the Fuel tank switch is set below... note the nicely crafted joysticks (can be hidden) and trim wheel. 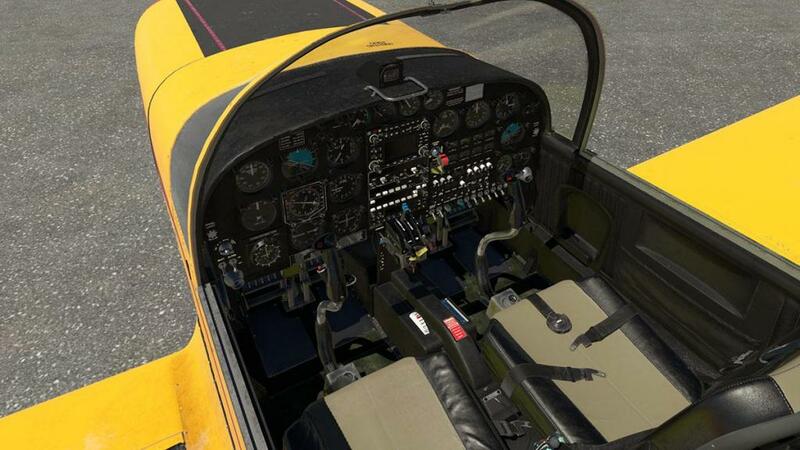 The SF-260 has twin-throttles with another on the far left... Italian trainee's are expected to learn to fly via the left hand on the left throttle and the right hand on the stick... Another lever lower down is a feature, with if you use Simcoder's "Headshake" plugin with the aircraft you can adjust the vibrations of either a loose or tight seatbelt, by just adjusting this lever! 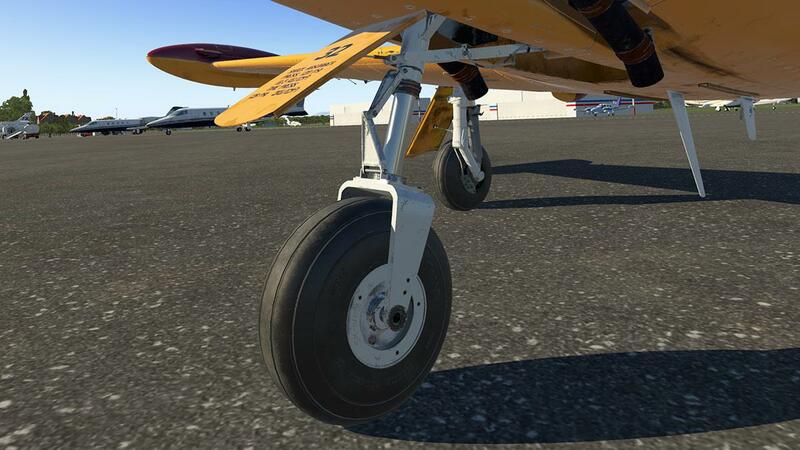 Rudder pedals are beautifully crafted, and the guides as they are animated are also very realistic (arrowed). 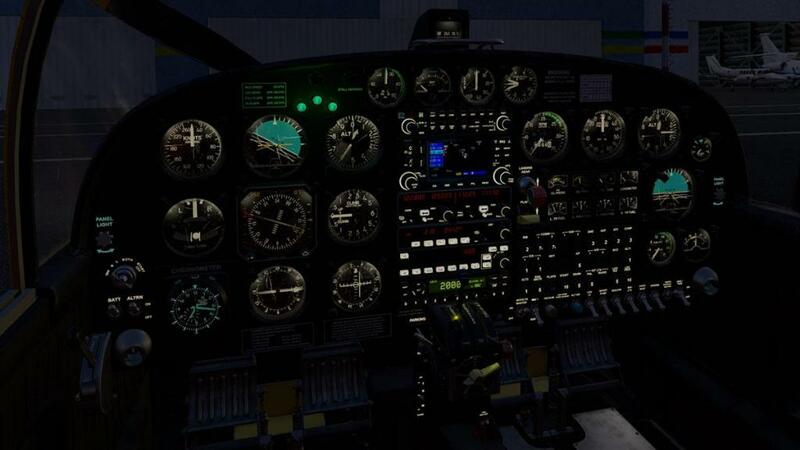 The panel lighting is sensational as well, there is only one adjustment via both knobs at each end of the instrument panel... the phosphorous lighting dims slowly at night, and looks highly realistic. There is also a small yellow light above the pedestal for maximum detail and the lighting glows beautifully at night. External lighting is very good as well. 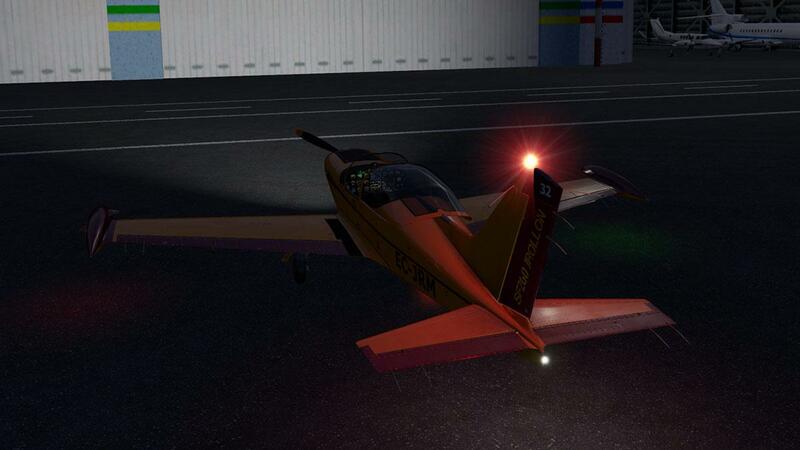 Strobe and beacon lights are bit strong but fine, navigation lights and there is a single nose landing light.... that single light however is quite strong. 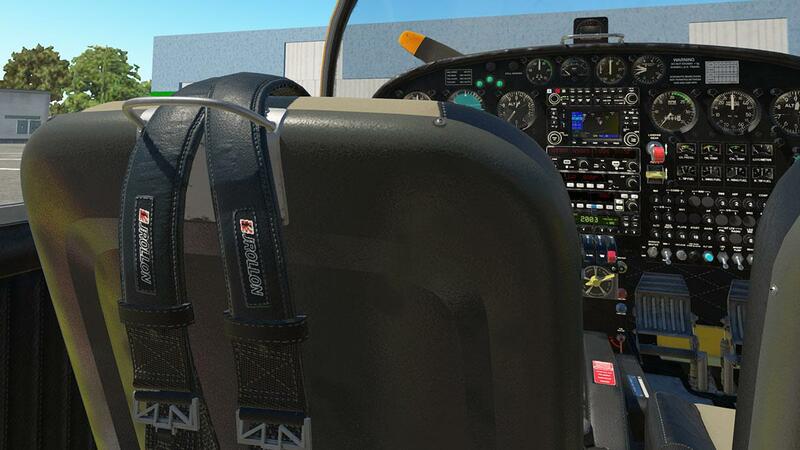 The built in REP package is pretty well the standard version that SimCoder's produce for other aircraft. 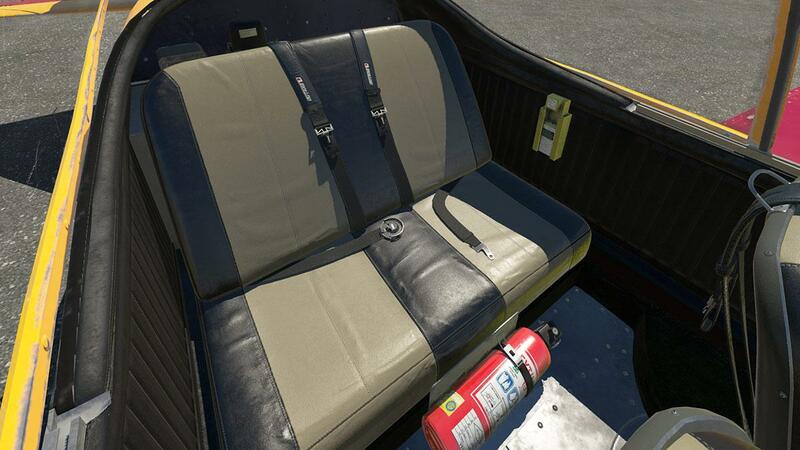 But because it is already interwoven into the aircraft it does feel far more solid than the other REP packs. 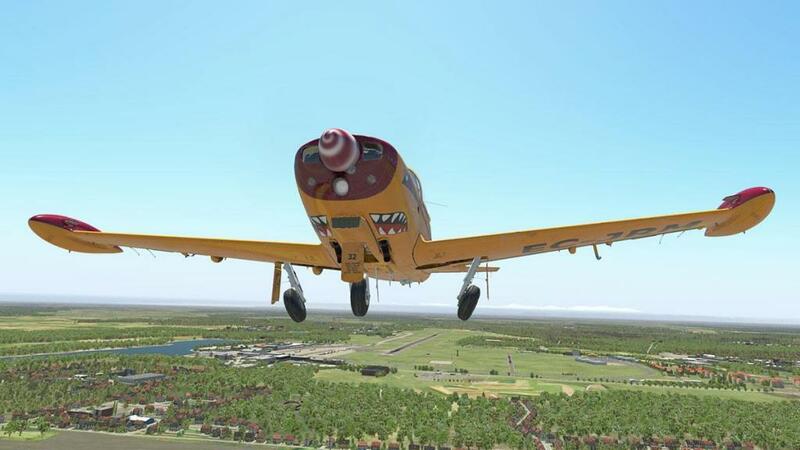 I personally am not totally a user of REP packages as they can be a bit over excited on the various systems (early engine starts were almost impossible), but they have improved quite a lot lately, so we shall see how the fully installed REP is either a bonus or a negative to this aircraft. The left side screen menu tabs can be partially or fully hidden. The top plugin menu has more options with the screen version only using the centre six tabs. The first two include; "Settings" and "Wear out to". 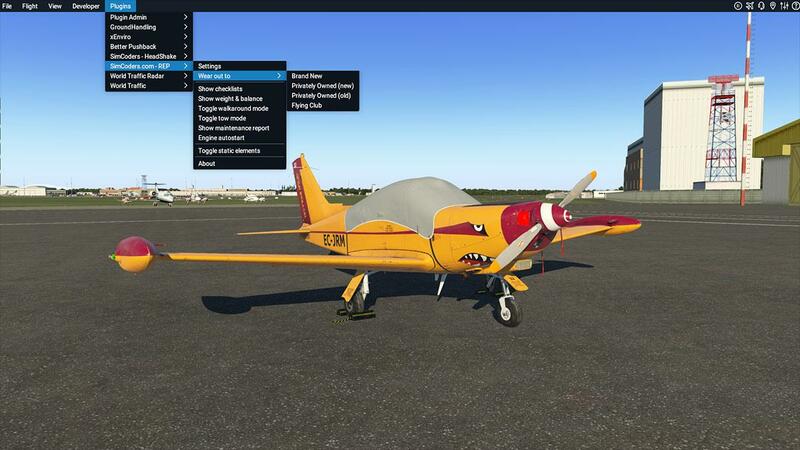 Settings include: Enable the plane damages, Show failure messages, Show tips, Show side menu on mouse hover only, Save and restore the plane status between sessions, Enable hypoxia effect, Roll axis drives ground steering, Use US Customary (pounds and inches), Pilot/Copilot altimeter use InHg and Enable engine monitor. 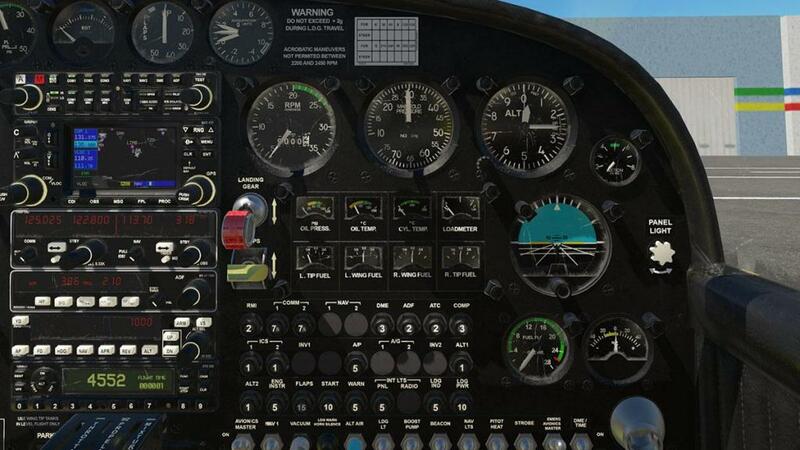 Most of the above can be switched off, like the failure messages, tips and engine monitor. The mouse hover option is best ticked off as well... but the Save and Restore option is excellent in leaving X-Plane and coming back to the aircraft, which is then set exactly the same way as you left it, including warm fluids, CHT and Oil Temperature, switches position, the fuel on-board, the loaded weights, the engine fluids quantity and quality and the feature is excellent. To reset to cold, just uncheck the box. Brand New or the engine is brand new and all the onboard systems were just as tested. 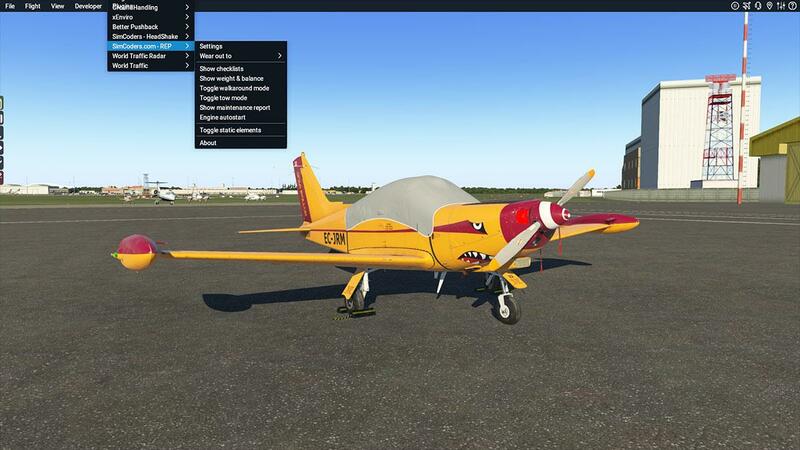 Privately Owned (new): this is an almost new aircraft that has been privately owned with care. 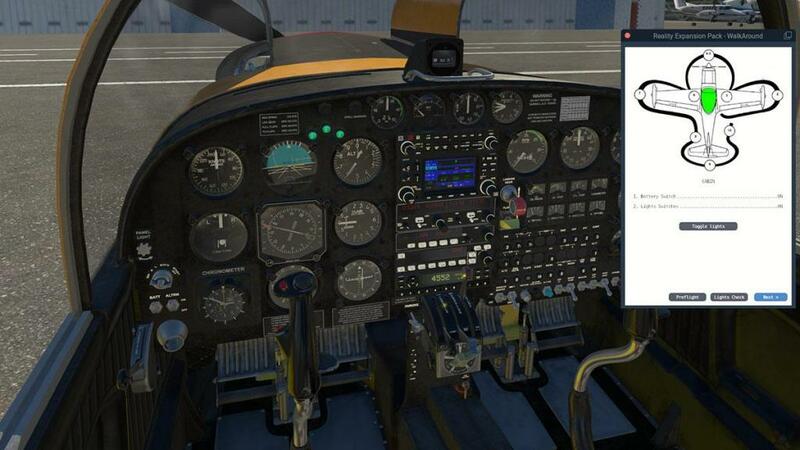 The engine as well as the other systems will have some hours logged but no issues are in place. Privately Owned (old): this is an aircraft that has been owned privately for years. 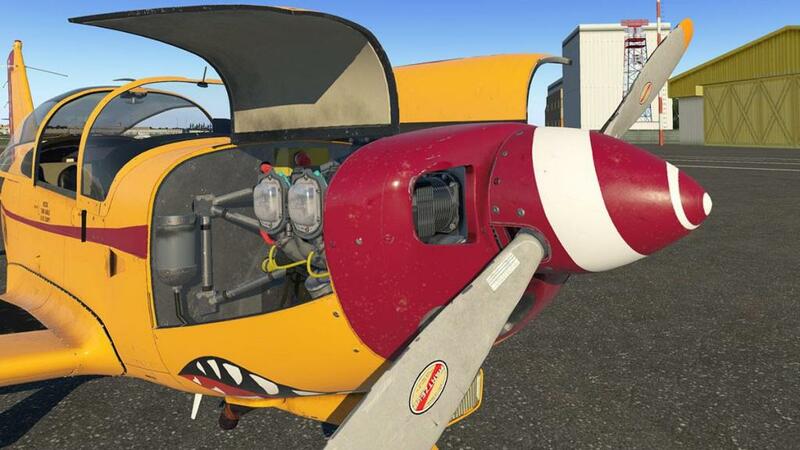 The engine as well as the other systems will have much hours logged but no issues are in place as the private owner kept the plane with good care. 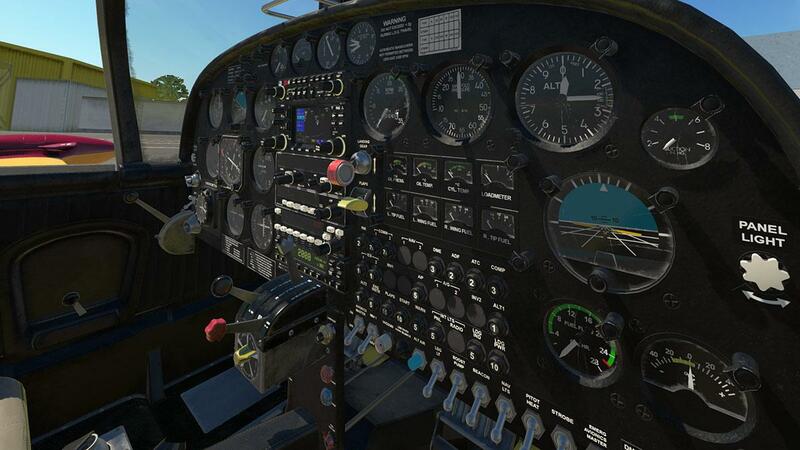 All menu options have pop-up panels and you can move them around the screen, but you can't scale them, which is a bit hard as some are quite large and can cover vital instruments... so the panels can get in the way in flight, not so much on the ground. 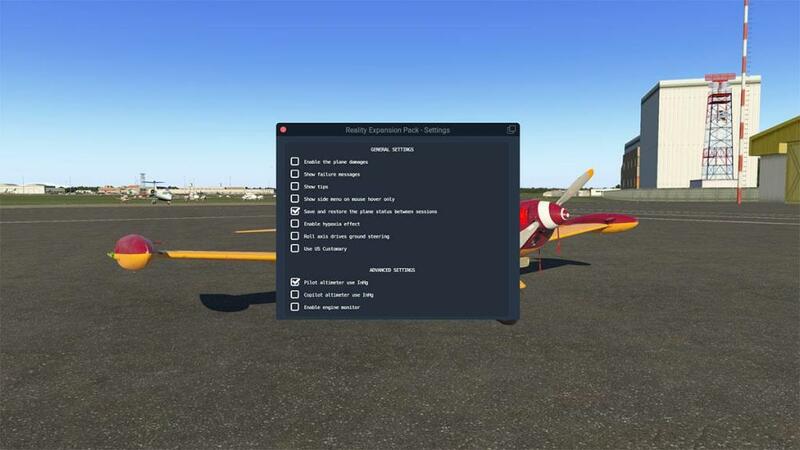 For VR users there is a custom system to access the menus and text inputs in the VR mode, so there are both systems available in the 2d and 3d environments. 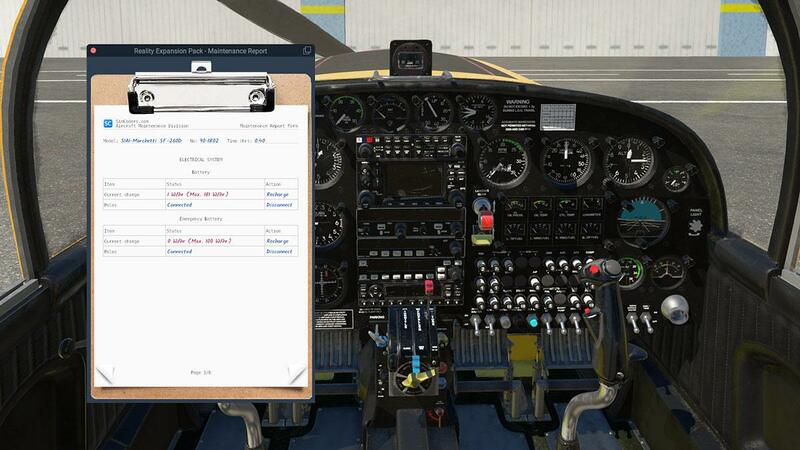 Kneeboard: This panel contains the aircraft normal and emergency checklists together with the performance reference tables (there are also key assigns to operate the kneeboard without using the menus). Mass & Balance: This panel is used to precisely load the plane, a Center of Gravity envelope is provided. 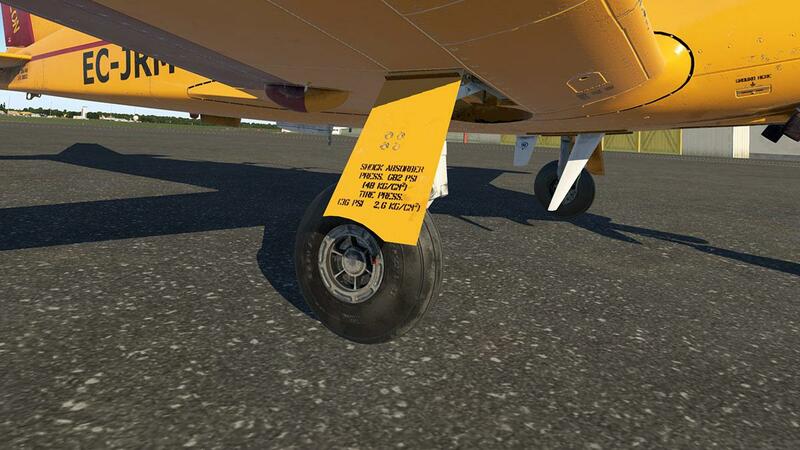 There are settings for Pilot/Passenger/Baggage weights, Fuel Weight, Landing C.G protection and an aircraft summary is also provided. 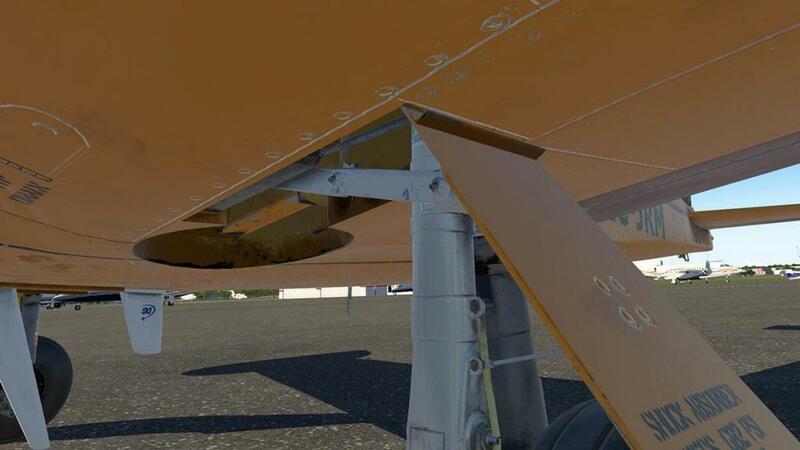 Walkaround: The walkaround feature is a combination of several areas, in settings for the aircraft in fluids and fuel, opening features and static elements. A lot of users are already very familiar with this REP system and it is excellent, but if you want say just the chocks positioned it is a long way around the walkaround to do so? 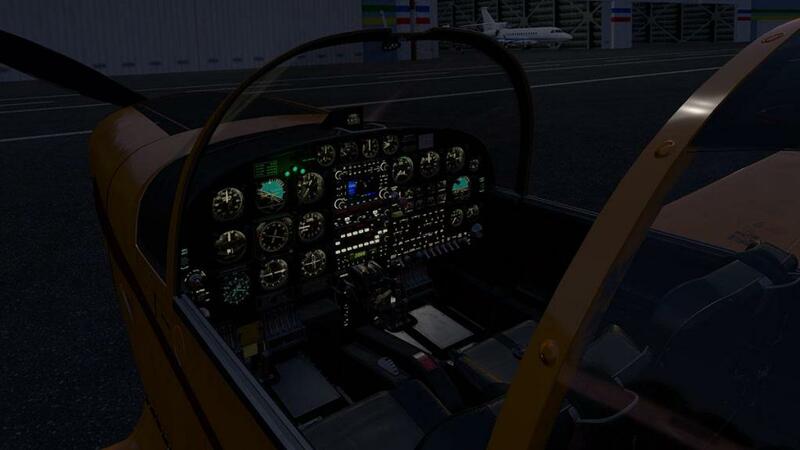 The pop-up panel has two areas of walkaround choices, one is the main "Pre-Flight Check" and the other is the "Lights Check"
Lights Check: This checks all the lights around the aircraft, and includes the instrument panel lighting. Note the excellent tip tank fuel cap detail! Pre-Flight Check: Does two actions in testing areas around the aircraft for flight and adding or removing static elements. It also shows fluid levels of the various systems. 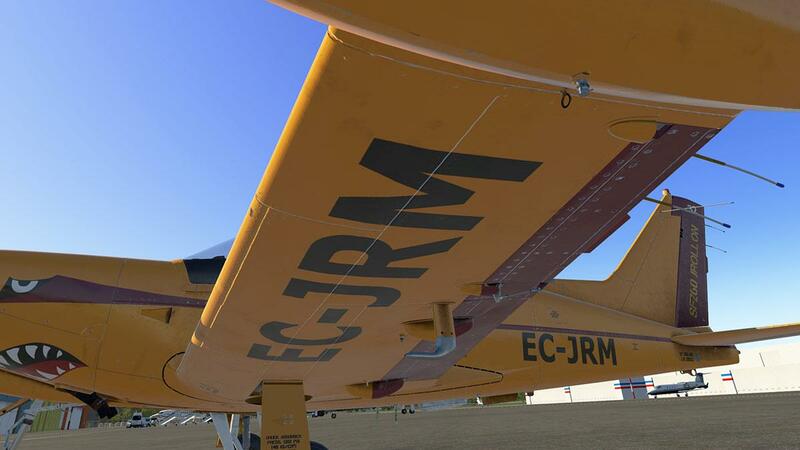 Static elements include: Wheel chocks, Canopy cover (nice), Wing and tail tie-downs, engine inlet covers and pitot cover. Tyre condition and wear is shown, in case they need replacing. 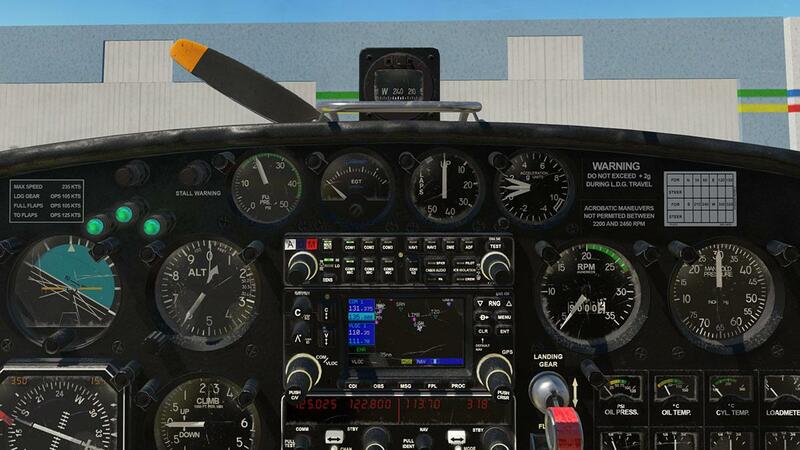 Contentious for me is that this option is the only way to get access to that amazing Lycoming O-540-E4A5? 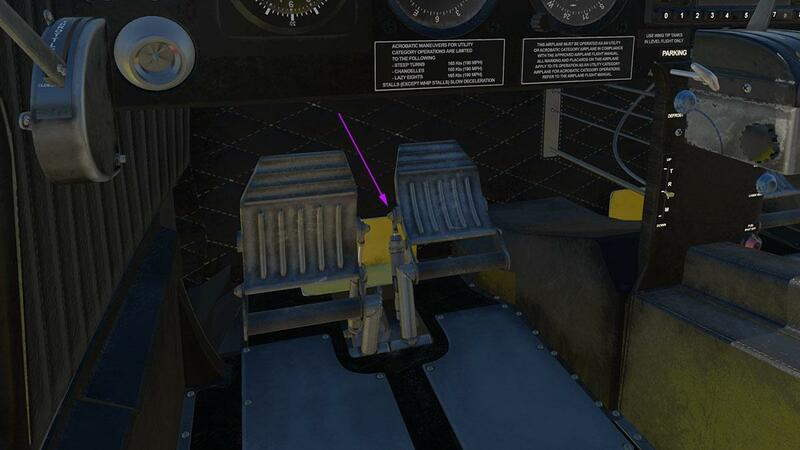 It would be nice for the engine access to be part of the static elements? You can check the oil and its condition level. 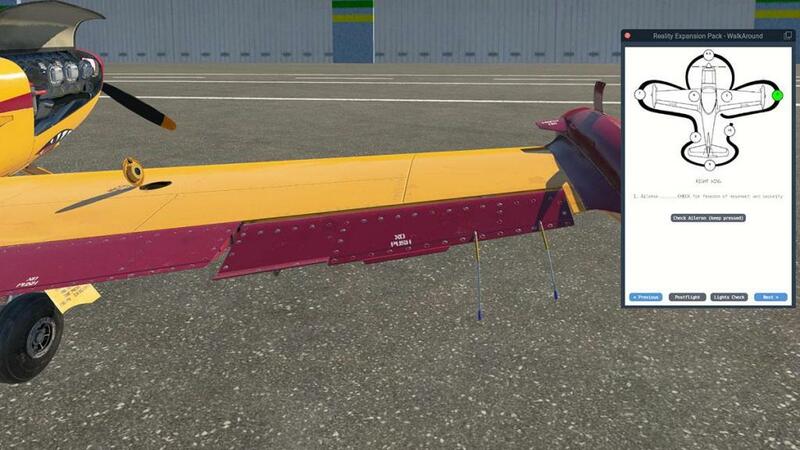 ... with the surfaces covered which are the ailerons, flaps, elevator and rudder. All in all the walkaround system is excellent, and there is a key command available to manoeuvre quickly through the walkaround menu. 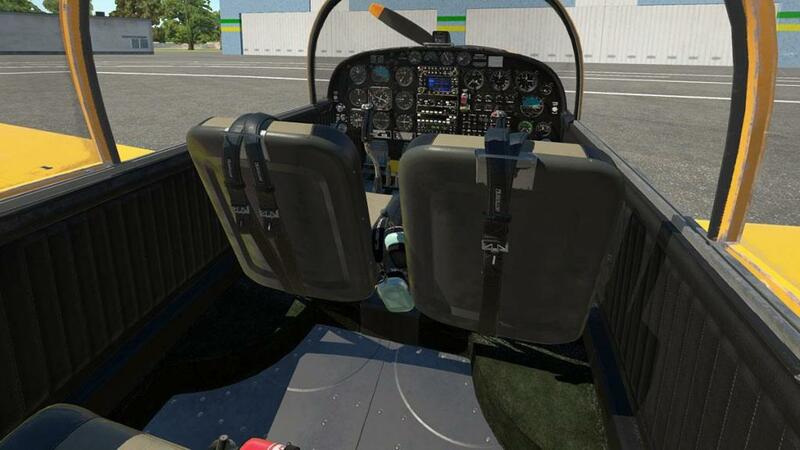 Tow: The tow feature allows you to pull the aircraft from the front nose position, you use your joystick to move left-right and backwards-forwards and at different speeds. Maintenance Report: There is a comprehensive clipboard that is a Maintenance Report... 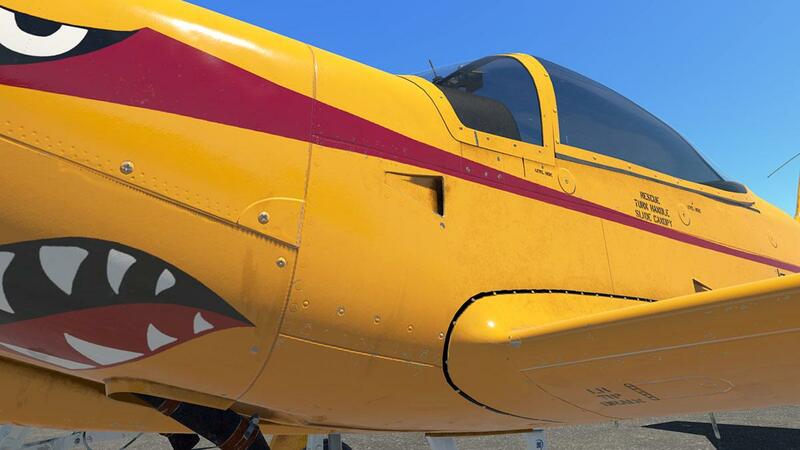 It is important to understand that the Marchetti is when used very vulnerable and has a significant built in "Custom Damage & Maintenance System". And ANY system can be damaged if used the wrong way. 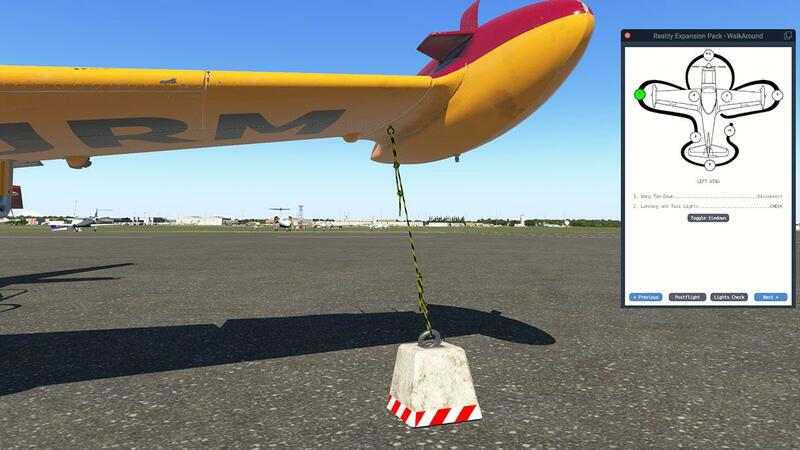 The Maintenance Report is one way to keep the pain away if used regularly, and it shows you the current condition of the aircraft. Note it can only be used if the engine and power is switched off, and then for the maintenance to be done on the aircraft. 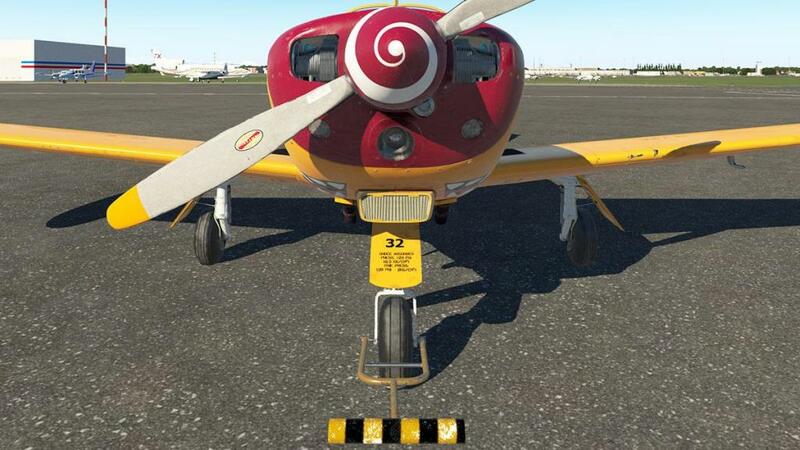 Engine Autostart: The REP provides you with a way to automatically start the engines. So get down on your knees and say "Thank God" for this option... It can be a pain to start, certainly from cold. Final two menu options are: "Toggle Static Elements" which is all on or all off, with no individual choices (it can be a key input as well).... and "About" which is what the current REP pack is being used. Oil type, quality and quantity affects the engine behavior and the spark plugs may foul because of carbon deposits, Leaning the mixture at the wrong time or in the wrong way may cause damages to the engine, there are carburettor dynamics and ice accretion. Engine preheater and winterization kit: the engine may be preheated on winter using the provided electric engine heater. If the engine is not heated correctly, it then won’t start or may be damaged after start. There is an animated pilot... at first I thought it was a young Austin Meyer? 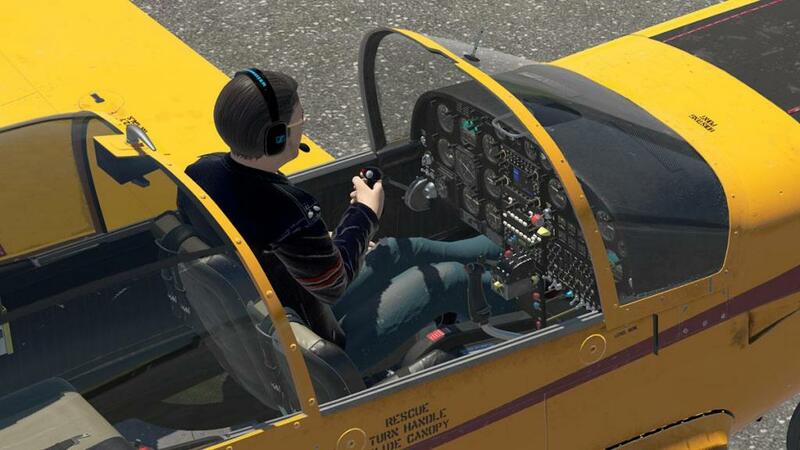 not to sure close up... he is fully animated with lovely movements reflecting his pilot's position, and in a nice effect is that he moves his head and upperbody forward in some movements and his hands move perfectly with the joystick. Simcoder's "Headshake" plugin is recommended and so do I recommend it here also. You can use the XPRealistic Pro plugin as well if you wish, but a few extra features are used with the Headshake version and it is free. 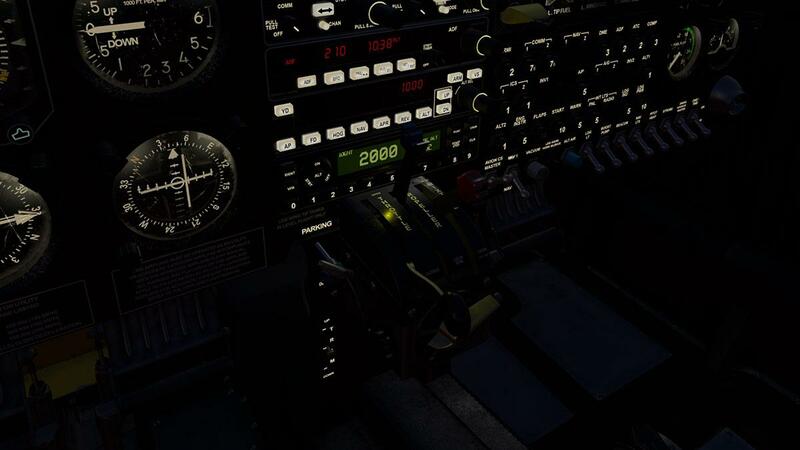 A bit of thrust, brakes off and your away, you don't need a lot of throttle to get the SF-260 moving, but I have the twin throttles on my Saitek X56 Rhino set for one lever as the throttle and the right lever as the mixture, and using both you can find a nice taxiing balance. ... it is an aerobatic aircraft, but it flies beautifully and is quite an easy aircraft to manoeuvre around it's solid axis... Simcoders note that "Low stick movements are sufficient to cause a high roll speed. 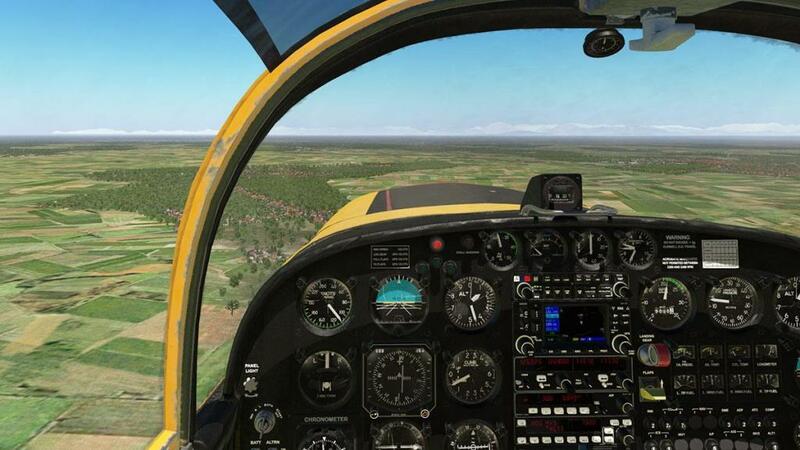 If pilot over corrects it may easily end up in Pilot Induced Oscillations (PIO) around the logitudinal axis." Performance is not really exceptional...Rate of Climb is 9.1 m/s (1,791 ft/min), Cruise speed is 330 km/h (178 knots, 205 mph)... with 236 knts Max. The range is 2,050 km (1,107 NM, 1,274 mi) and a Service Ceiling of 5,790 m (19,000 ft). 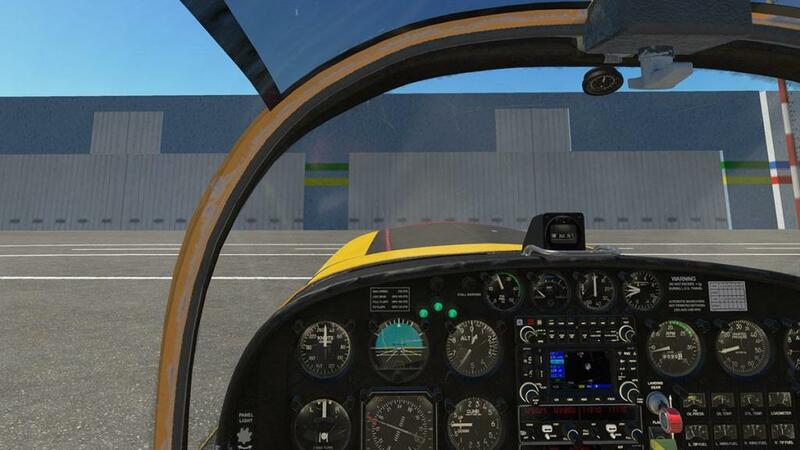 But I found it hard to get into the 180 knt range, and so I backed off in case I blew something up... you feel that way in this aircraft. 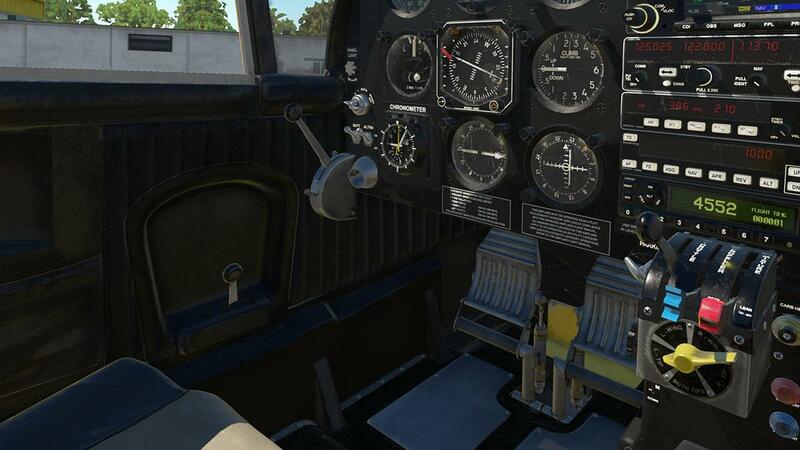 But this is a very nice place to be in, visibility is excellent, the SF-260 must be absolutely brilliant in VR. The SF.260D engine is normally aspirated. That is, the maximum air pressure that affects the engine is the outside atmospheric pressure. It is also affected by visible moisture, the Carb Heat knob must then be operated to avoid carburettor icing at low engine RPMs or icing conditions. 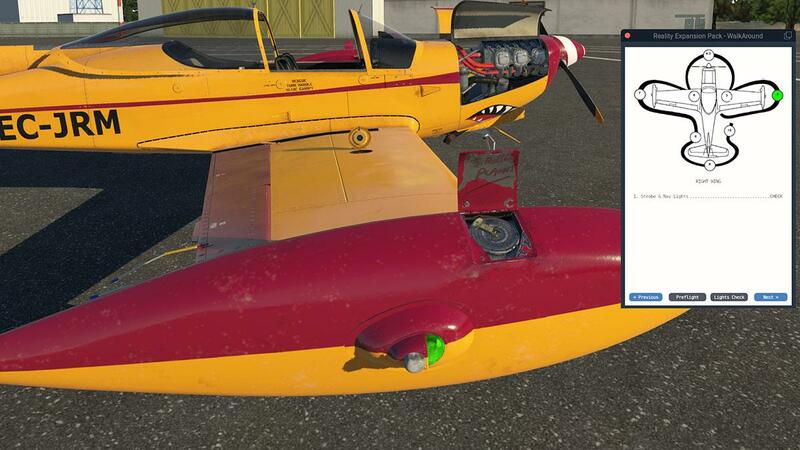 Icing and effects are not on the aircraft yet, but with the new icing and carburettor effects being in the X-Plane11.30 version, I would expect them on the aircraft in the near future. Sounds are custom, are fully customised and are not actually FMOD... and they come with custom engine sounds that ensure high performance and the best aural quality with dynamic immersive sounds in both the internal and external views. They are very good and highly original, but I found the cruise sounds a bit droney and almost a "ooooonnnn" sound that you soon got really tired of. 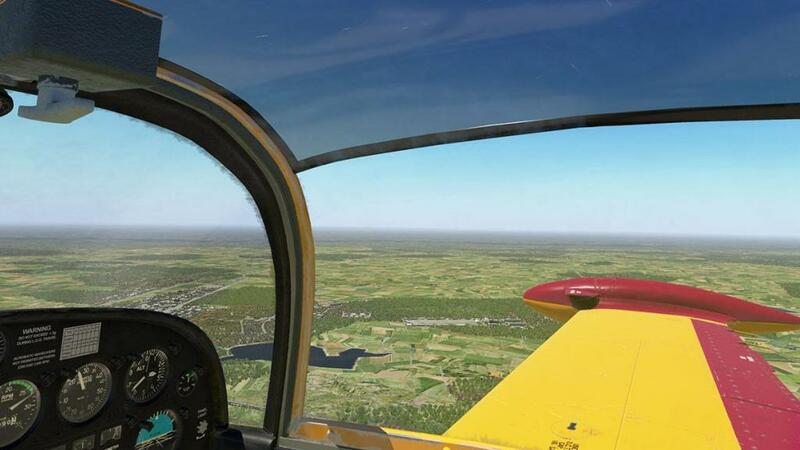 ... but the Marchetti is a tricky aircraft to fly at low speeds, but I don't know if the Headshake is overswinging the effect, but the aircraft is very swinging in the horizontal (not much wind either). so you can over compensate. 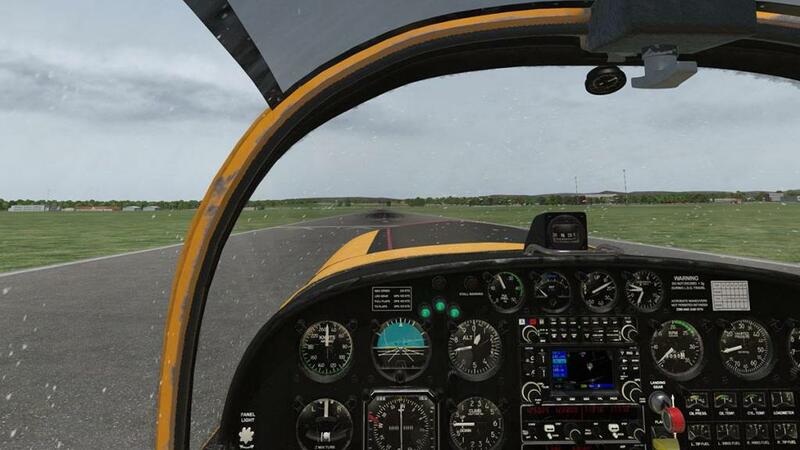 Approach speeds are 80 and 90 kt in the landing-configuration and stall speeds are right at the 61-kt limit, but you get a buffeting right at the approach of the stall speed (around 67 knts), but it makes it tricky to land and it feels quite fast as you arrive as well. 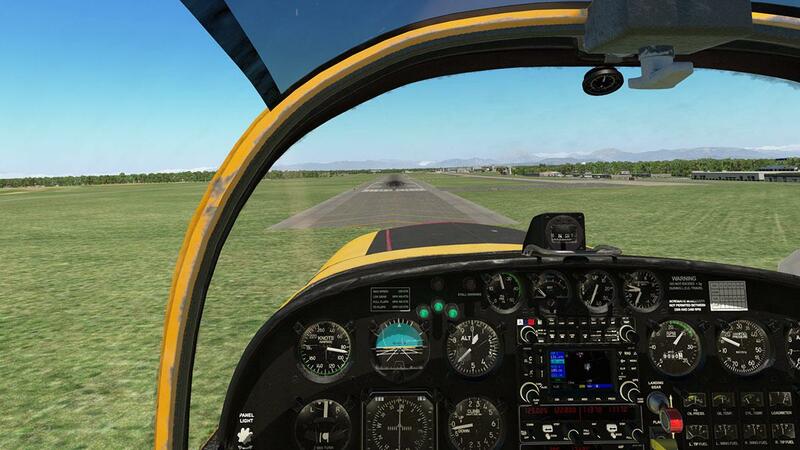 Any throttle reduction is with care, as you can very easily lose height and lift... so the aircraft needs a fair bit of practice and even skill in flying the SF.-260 at this approach phase of the flying. And I have had three or so landings and still need to totally get to grips with the low speed handling, but again we don't spend this much cash and expect the aircraft to be basically very easy to fly.... we expect total realism, and that is what you have here. 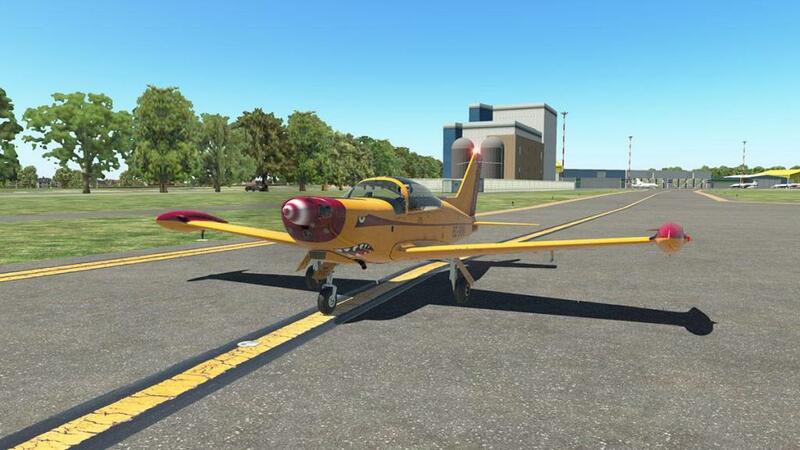 X-Plane does have a bad habit of grabbing you at the final phase and pulling you down on to the runway, and even with these several landings I haven't been able to dial that out, which I have done with other aircraft... but I will keep trying to find that last minute fine balance. There is a rain effect, that puts water droplets on the glass... but overall it feels more like flashing Christmas tree lights than raindrops? 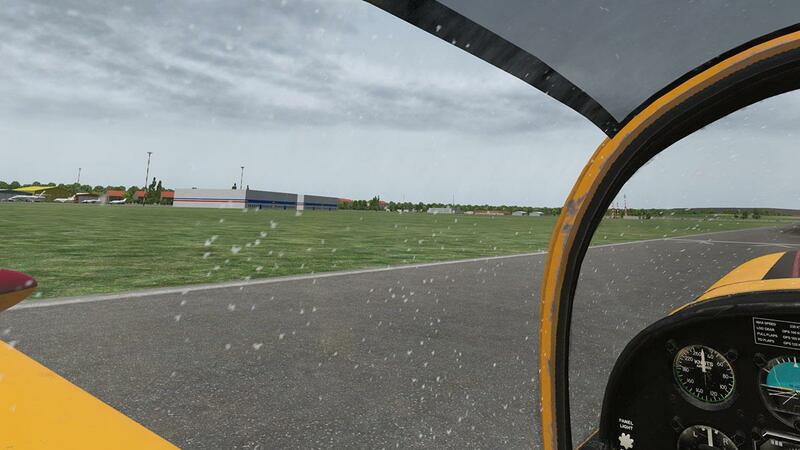 and they don't wash away in flight as you gather speed very well either... other developers have done a better set of water drop actions in this area. 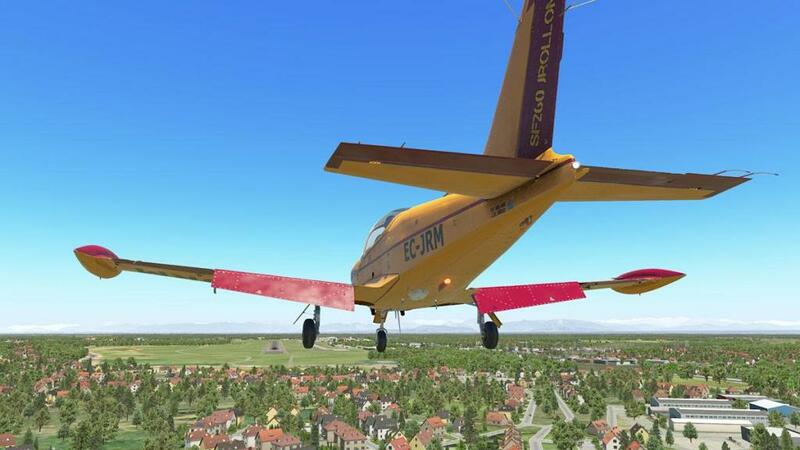 A final note is that if you use X-Plane's replay mode, the aircraft has a habit of jumping badly when you come out of the replay, it always hop's or jumps a small distance? 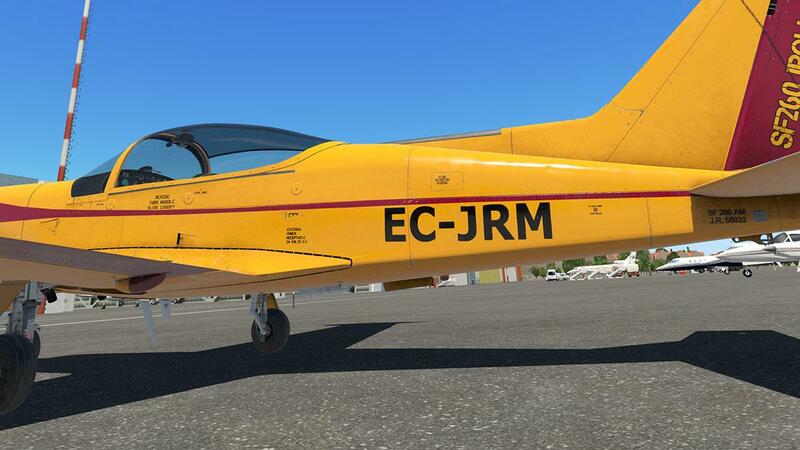 There are eleven liveries with the JRollon Yellow set as the default... All are huge 4096x4096 4K textures of extremely high quality. 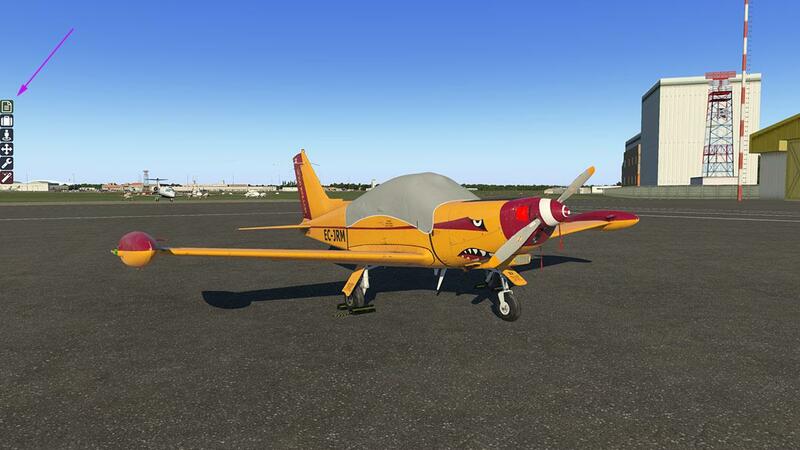 Note the very nice SimCoder's Promo livery. 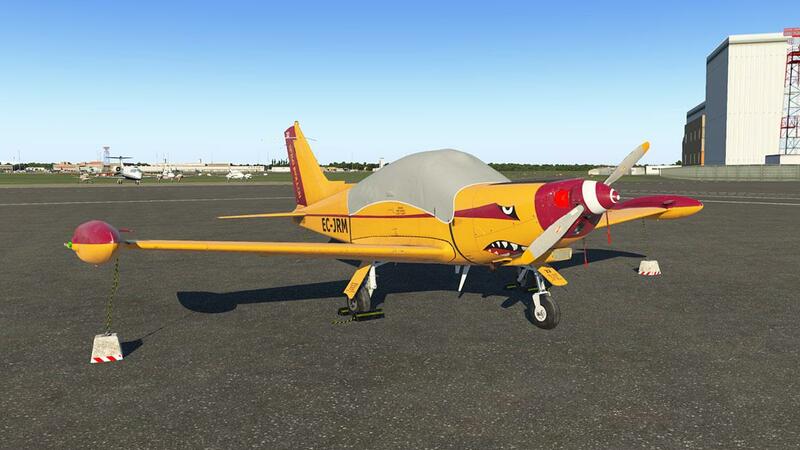 When I first saw that US$40+ price I went 'oooh", that is high for a small single-engined aircraft. But as this review went on, and on and looking at the size of this review and then work your way through the very extensive feature list, then this Marchetti is now looking like an absolute bargain. There is no doubt that Javier Rollon is a master developer. Certainly this aircraft will put his skills at the very top of the tree, list... whatever as one of the very best in X-Plane, and thankfully his older dark heavy period seems to have been buried. 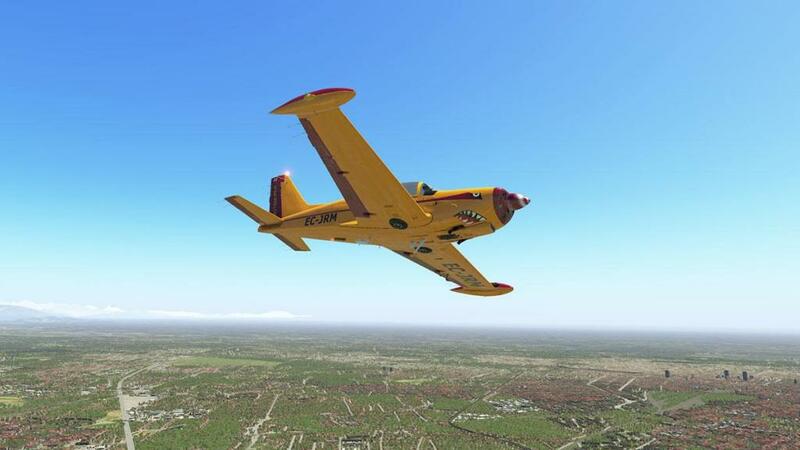 But this is simply sublime work... even you could class it as one of the best in this category in X-Plane currently. 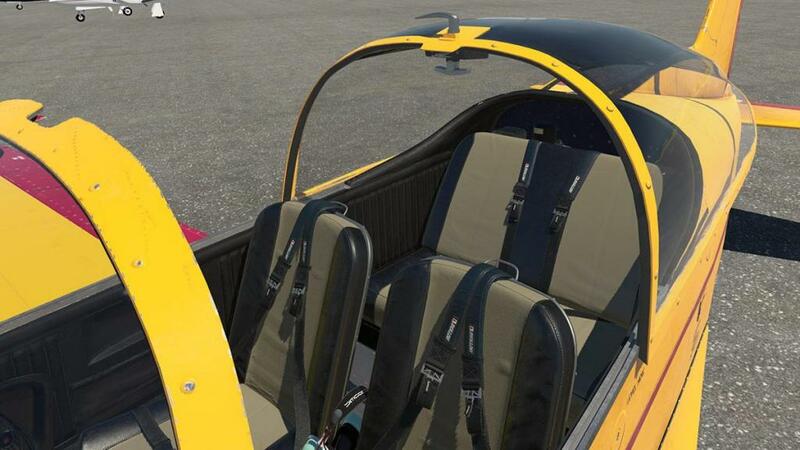 The detailing and the quality of the modelling here in the SF.-260 is off the scale, jaw-dropping it's sheer complexity and with ultra-fine detail... this is realism 101. 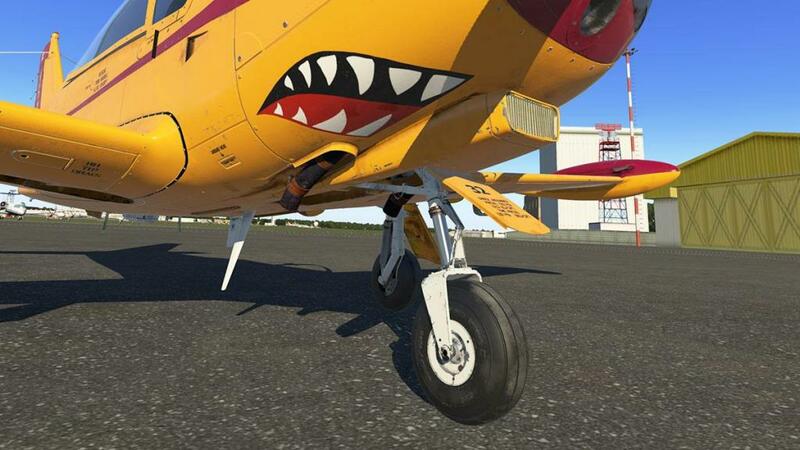 You won't find better, and there is some excellent aircraft out there now in X-Plane. 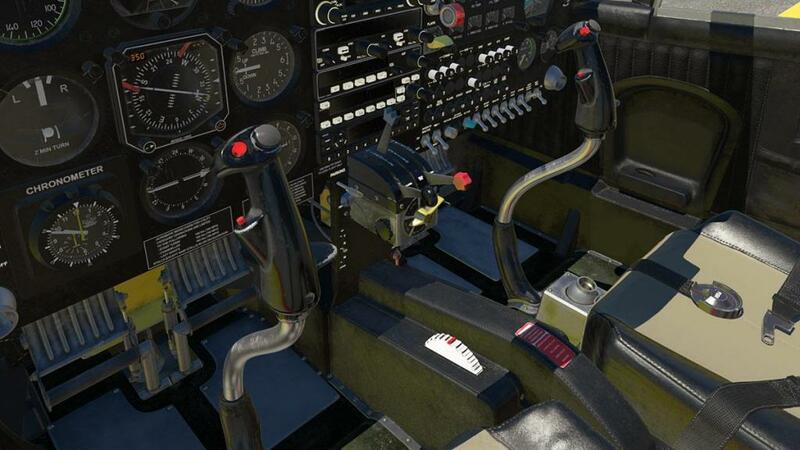 Overwhelming is the sheer interior detailing, the excellent exterior work including the magnificent undercarriage... and... and... that fully complete working Lycoming O-540-E4A5 engine, it is all "gone to heaven stuff"
Features and the depth of immersion of the systems, switchgear and even the avionics are all ultra deep and very accessible... and we haven't even got to the intergrated SimCoder REP's or Reality Expansion Pack yet. Yes this package is worth US$20 alone, but here it is fully immersed into the Marchetti, with all the walkaround and static element features the package provides and it is extensive in depth and again in the way it is interwoven with wear and tear, and the general use of the aircraft... this is a machine you have to look after, even babysit to keep it in a fully functional form, just like... well the real aircraft. After all the "oohs and aahs" then is there any negatives? 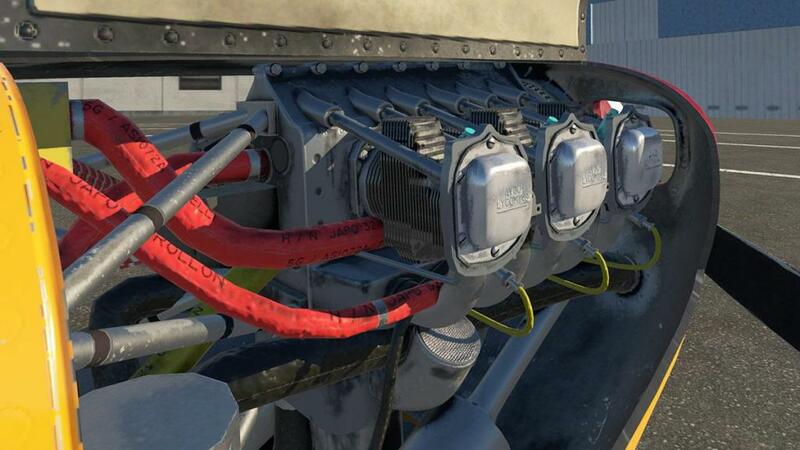 Well no access to that lovely engine as a static element, I feel is just crazy, you want to look at it and even see it with the machine running?, more access to the individual static elements and I think the rain effects need another rethink... 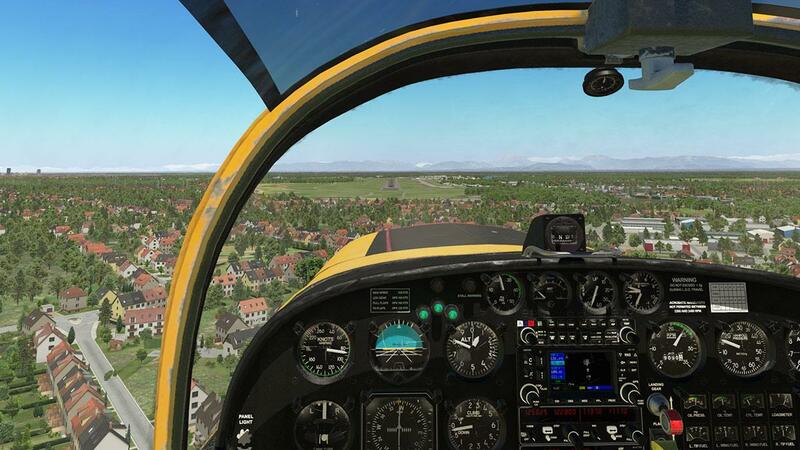 It is a tricky aircraft to fly as well, very easy in flight, but taking off and in the low speed zones you really need your best flying skills, I'm not crazy about the in flight cruise sounds either, but it is highly probable they are totally authentic. 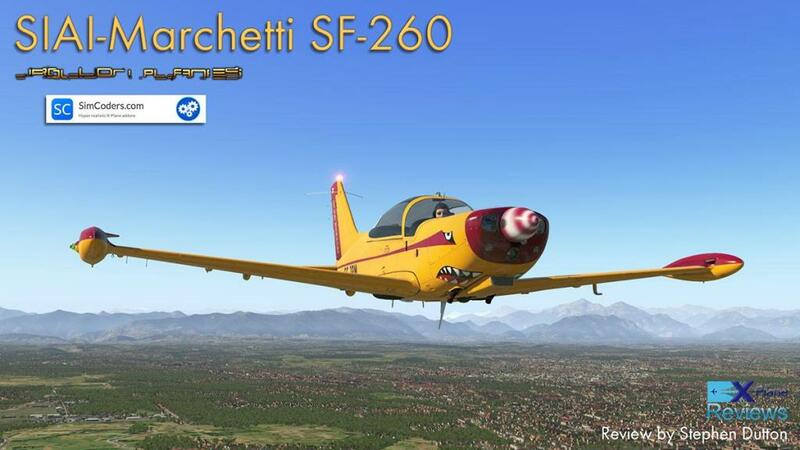 So the Marchetti SF.-260 master class from the master, and come also with the excellent SimCoder REP package as part of the deal, Look back through this review and you can't say you are not getting overwhelming value for your money and it is also VR ready... and so is this Marchetti maybe even the best aircraft in depth and detail that has been released this year in 2018 as well?.. Highly Recommended! 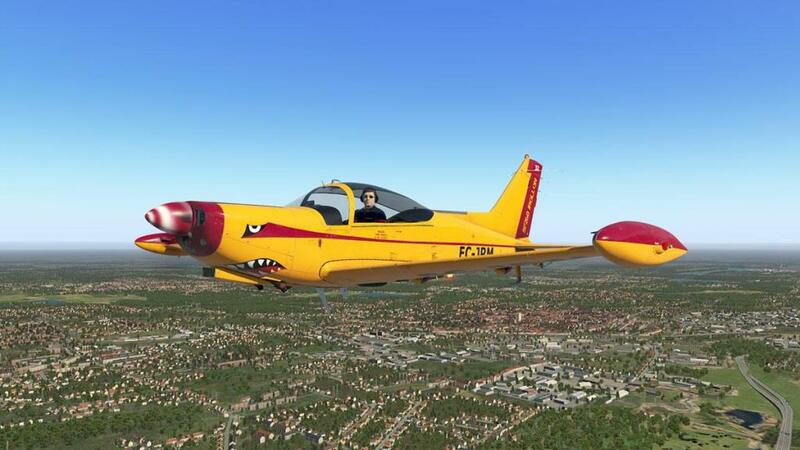 - Persistent aircraft state: each livery has its own state that is saved between flights. Damage is cumulative. 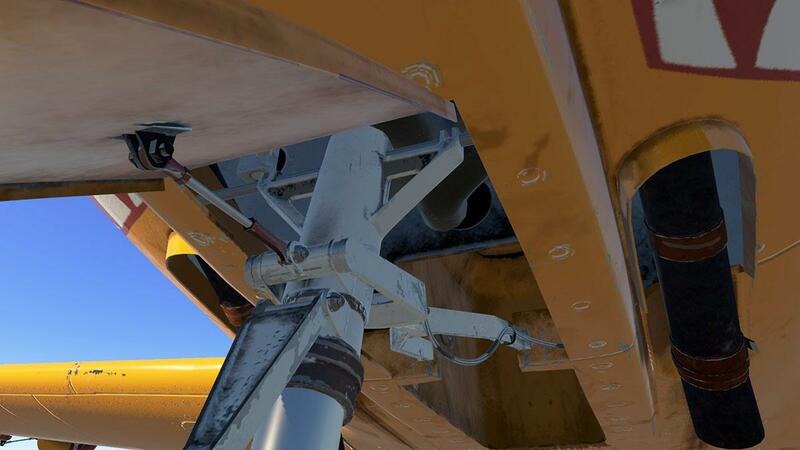 - Realistic Oil System affected by Oil Viscosity. Choose the best oil grade for your kind of operation. - Spark plugs fouling. Change the spark plugs type in the maintenance report. - The instruments wear out and may give incorrect reading. Tap over them to temporarily try to reduce their error. 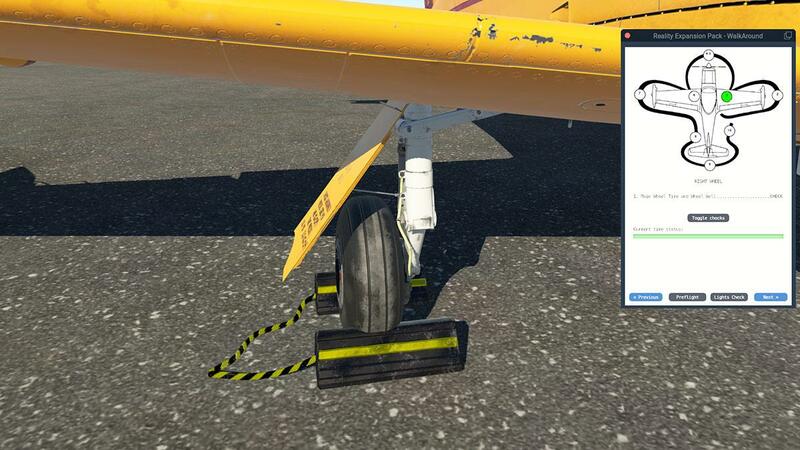 Fix them in the maintenance report. 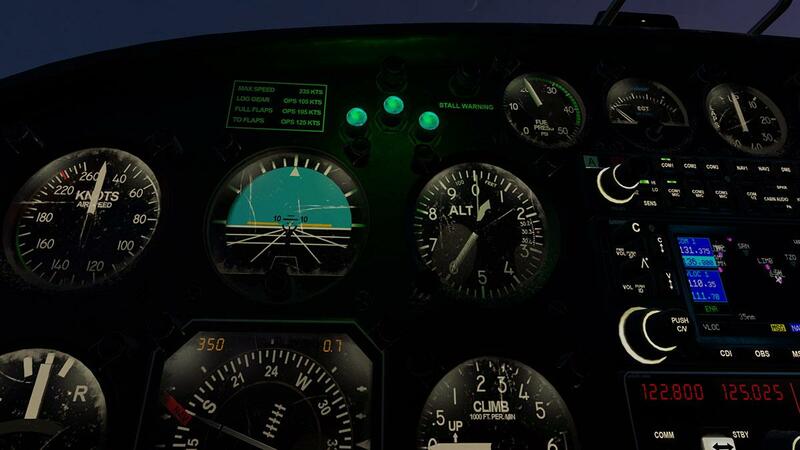 - The cockpit light and indicators bulbs may start blinking and fail. Tap over them to temporarily try to light them up again. Replace them in the maintenance report. ... and the combined installation is 1.35gb. Key authorisation is required for the Simcoder REP package and a restart is required. It is highly recommended to read the user manual before flying the aircraft. Would by it in a minute without that immersion package. Same thing with A2A on the other platforms. A lot of us have 'been there, done that' and just want to fly. 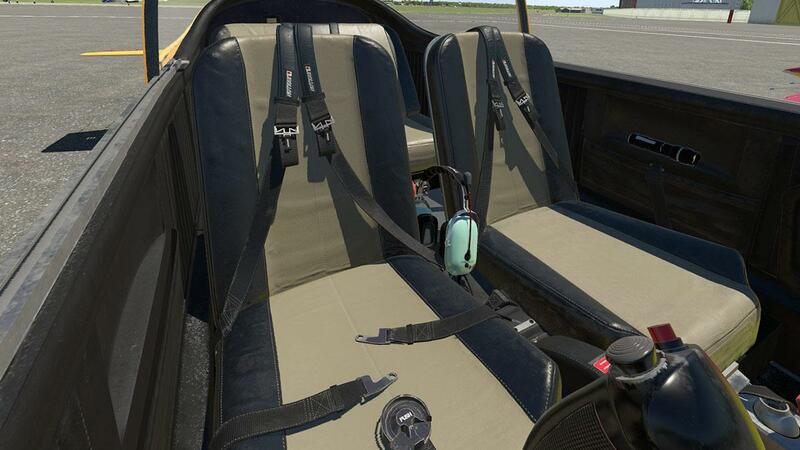 You can take-off quite quickly without pain or long checklist. You've indeed to take care of few parameters but in the end, you're already flying before the first 10min. After that, in VFR or IFR, she's perfect to have fun. Looks great, thanks for the review. I thought the same about the rain effect the first time seeing it in a video, not great. Thanks for the review Stephen, I enjoy your reviews. 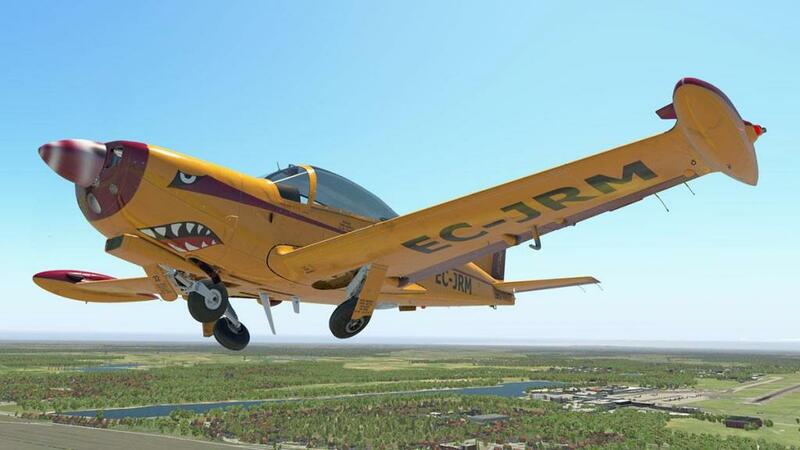 I've been a fan of Reality Expansion Packs for a while but hadn't realised just how good J Rollon's work was up until getting this plane. I enjoy the short videos that he uploads on the SF260 as well. 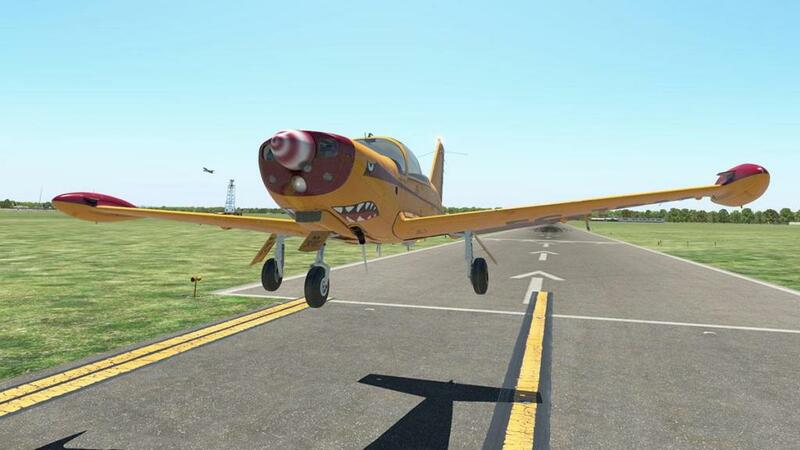 Hello, thank you for the succesful aircraft. 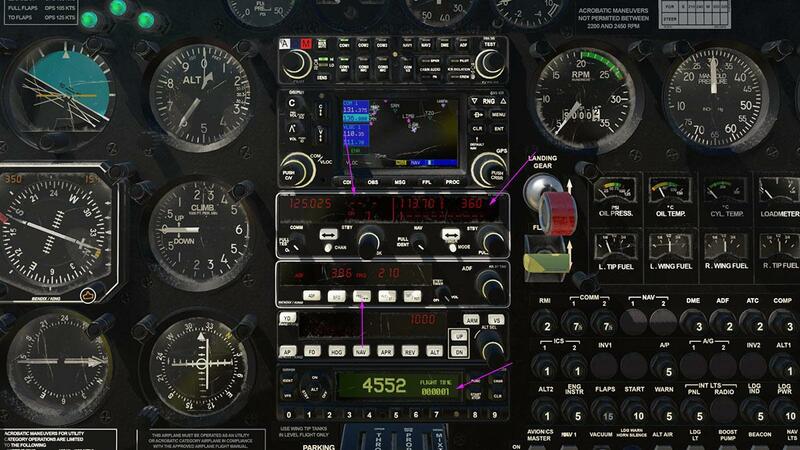 I would have one request: could you create a place in the instrument board for Reality XP GNS? It's more real than anywhere in the air. Hello, I have one more request. 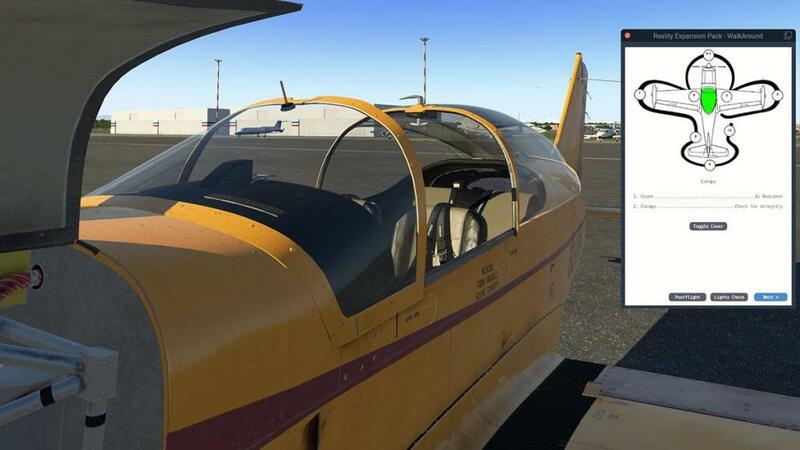 Could you program the control of the flaps so that they can be served by the Saitek multipanel? Hi, I got a Saitek Multipanel. There's autopilot, trimmings and flap switch on it. All other functions at my four Saitek panels work well, only the flap switch does not. By the way, integration from Reality GNS into instrumental board is great. Hello, I just bought the plane and I have made two flights and halfway the engine stops and does not tell me why, I got the second time to restart it and I start in the air but was very slow and istampo. Gasoline had and was all green. 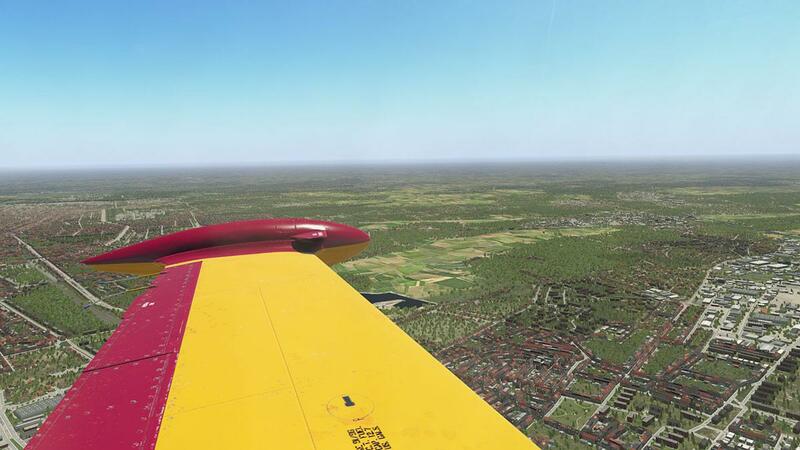 I bought the F33A a couple of years ago (with REP) and took a 10 minute first flight. Everything was going fine and then the engine stopped when coming in to land. 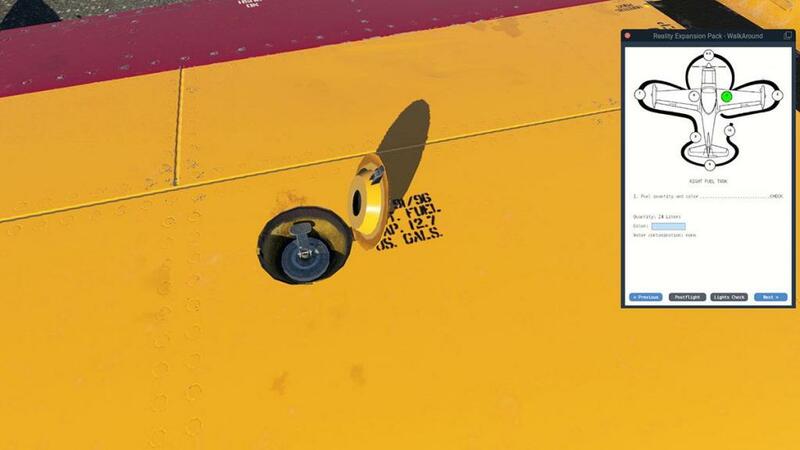 Turns out you shouldn't use the fuel pump when in the air on the F33A The information messages that the REP shows can be quite useful (this includes messages for plug fouling, dangerous throttle, prop and mixture combinations and a few other items). 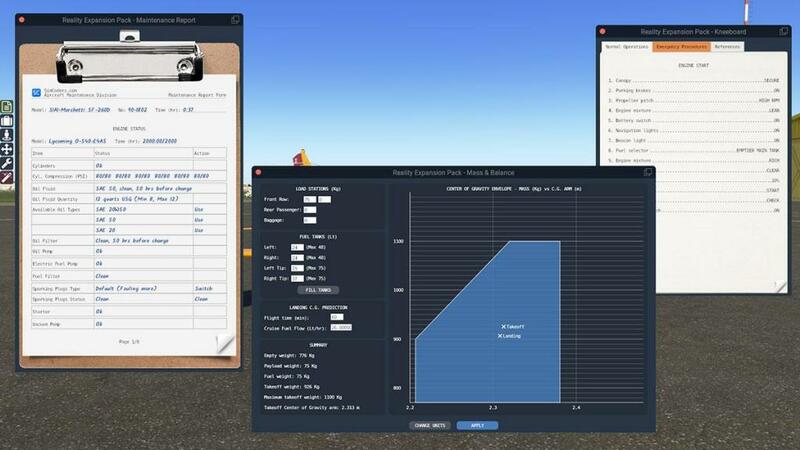 The engine monitor almost feels like cheating sometimes, its so useful (but most of the info it gives would be available using the cylinder head temperatures and the performance charts, the engine monitor just gives a shortcut). Simcoders also get quite detailed in their treatment of lean of peak, rich of peak and the "red box", which is also referenced in the messages on screen. There's info on it on the Simcoders site. 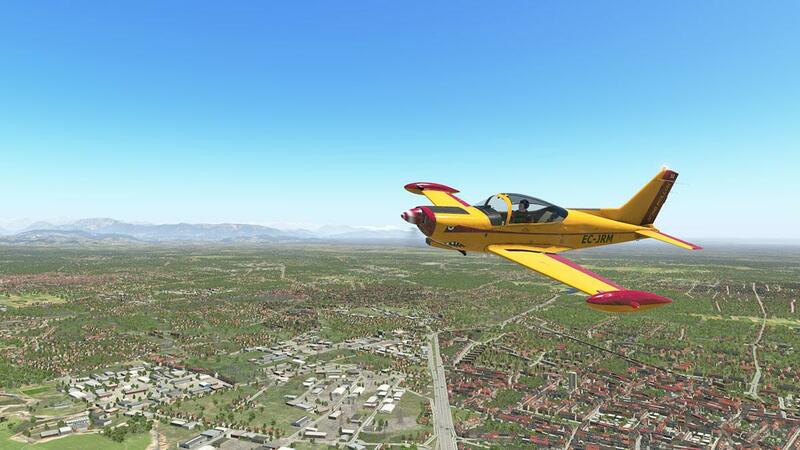 I have the SF260 and haven't had a problem with the engine stopping midflight yet. My tyres have been wearing very quickly but that's probably my fault. my paper is late, but it's coming. 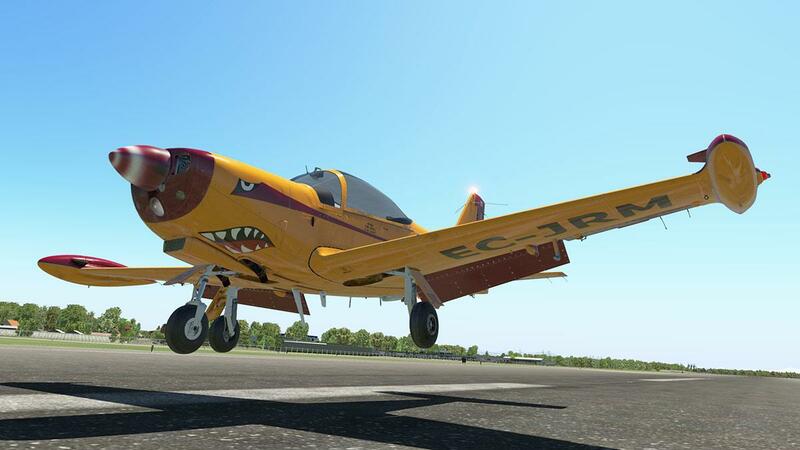 This aircraft is all the best thought-up in the PC and on all add ons. Bravo, keep it up. Very good programmers.